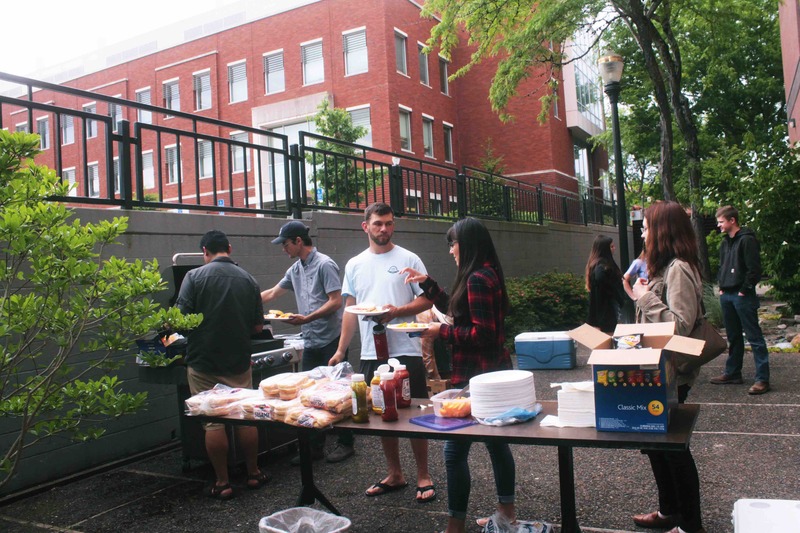 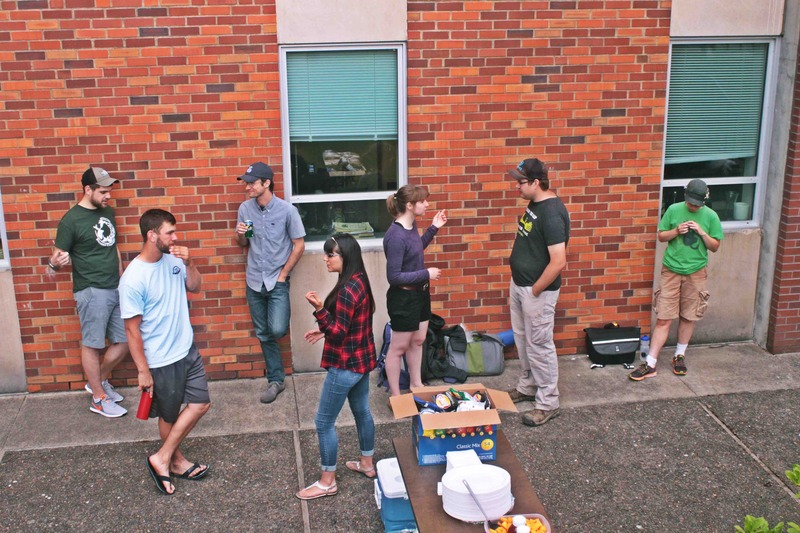 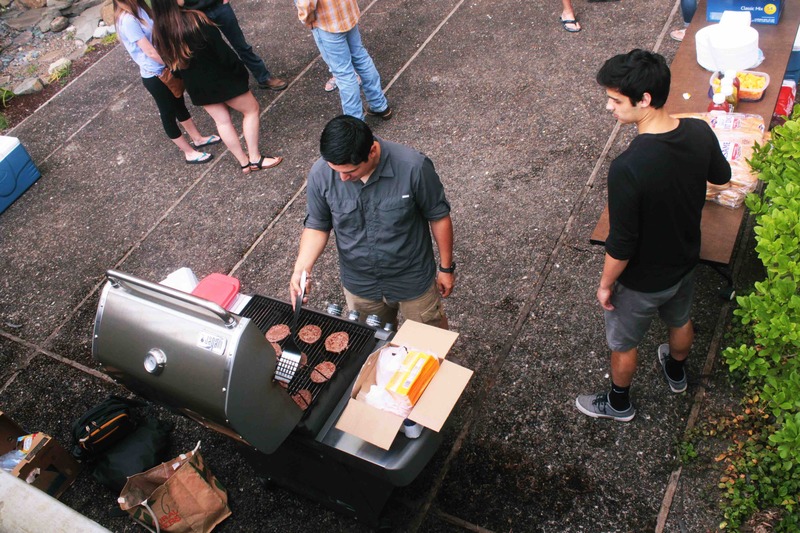 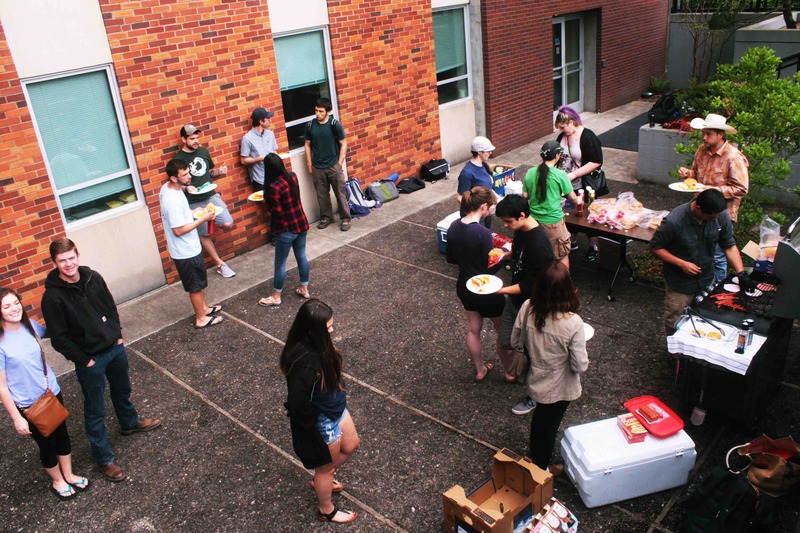 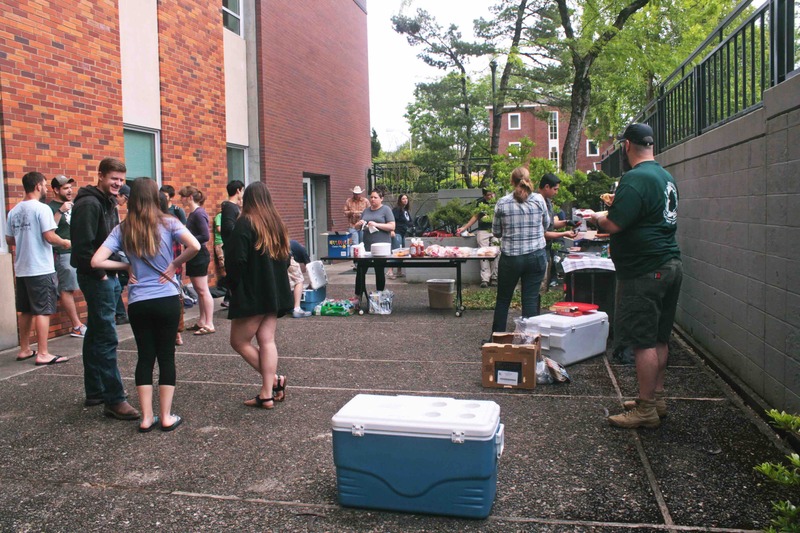 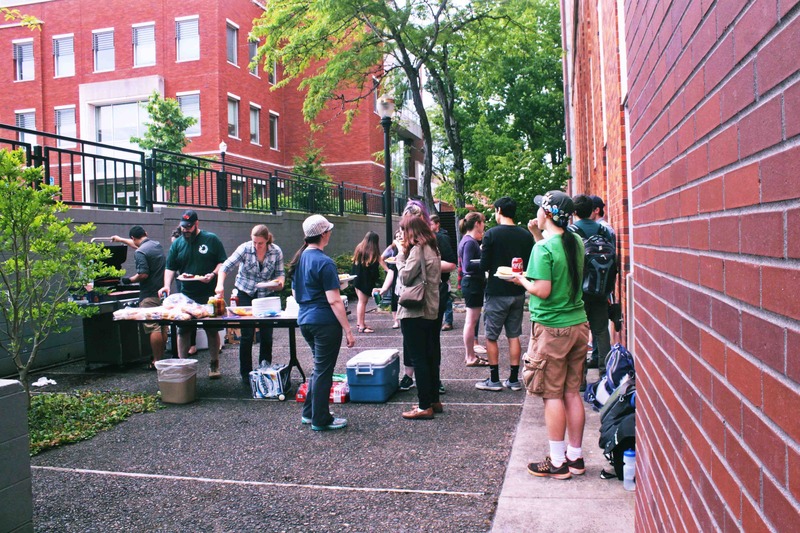 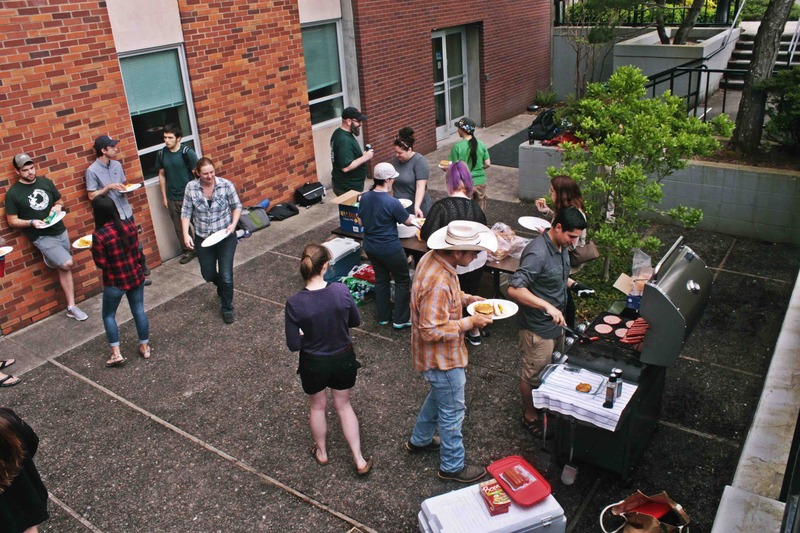 The FW Club end-of-year Gear Swap and BBQ is always an exciting event! 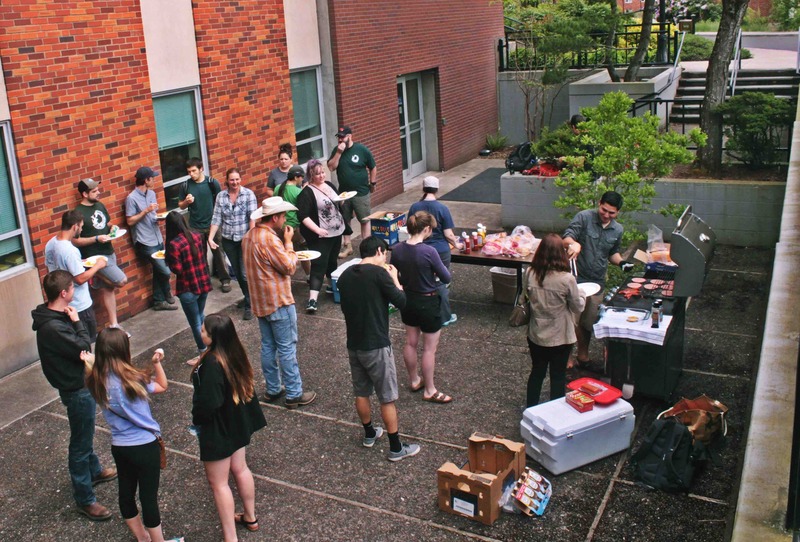 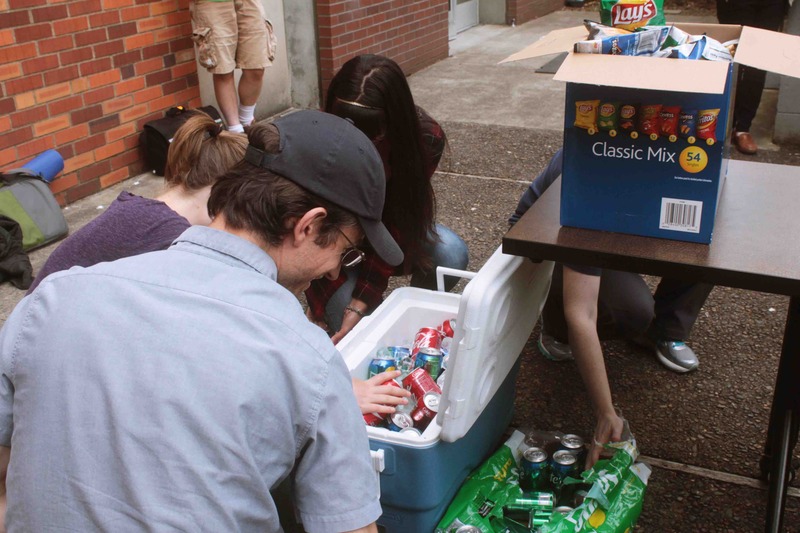 Students and faculty get to buy, sell, or trade their new and used items while enjoying food and drink! 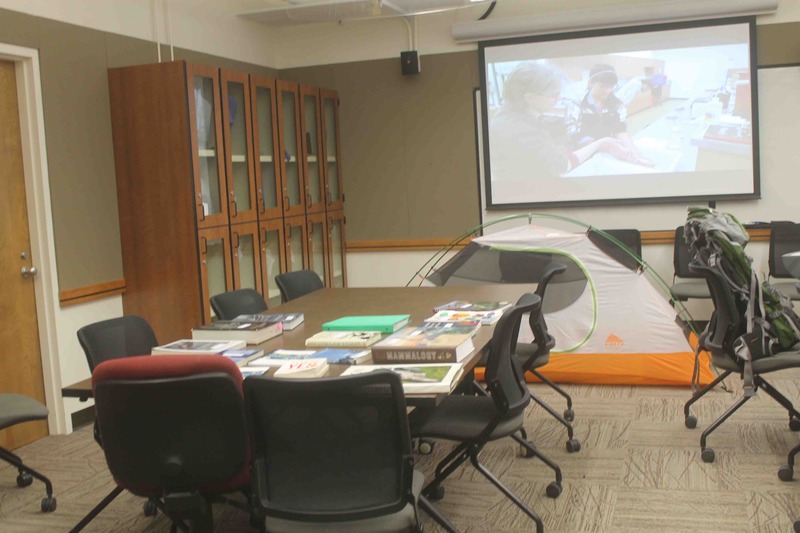 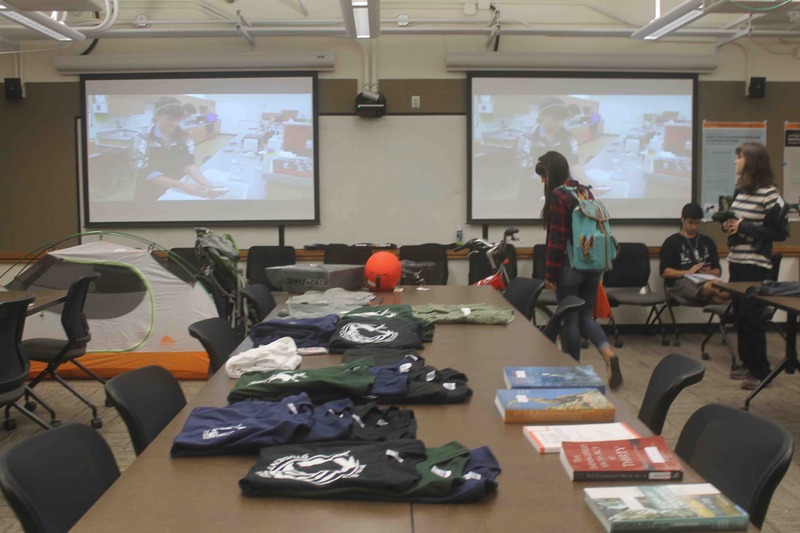 This is also a great opportunity to purchase used textbooks for the next year or outdoor gear for the upcoming field season. 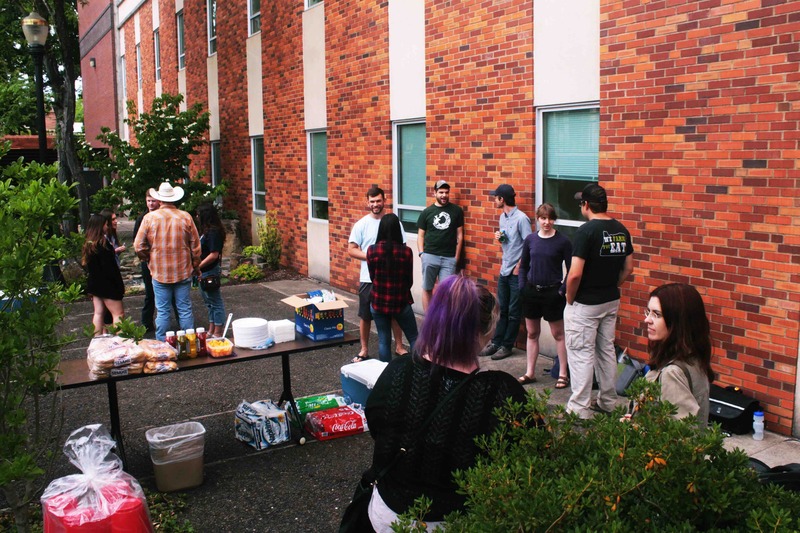 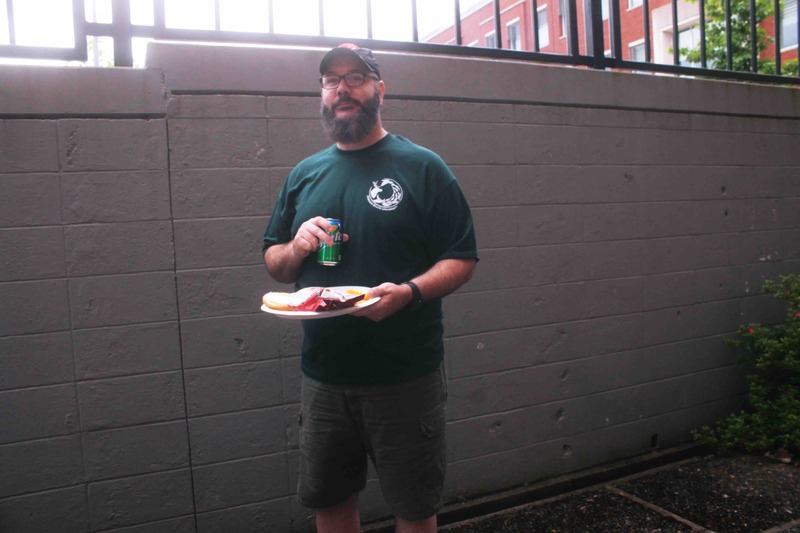 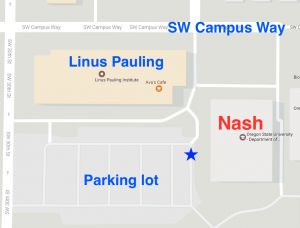 We hope you can join us at the next BBQ! 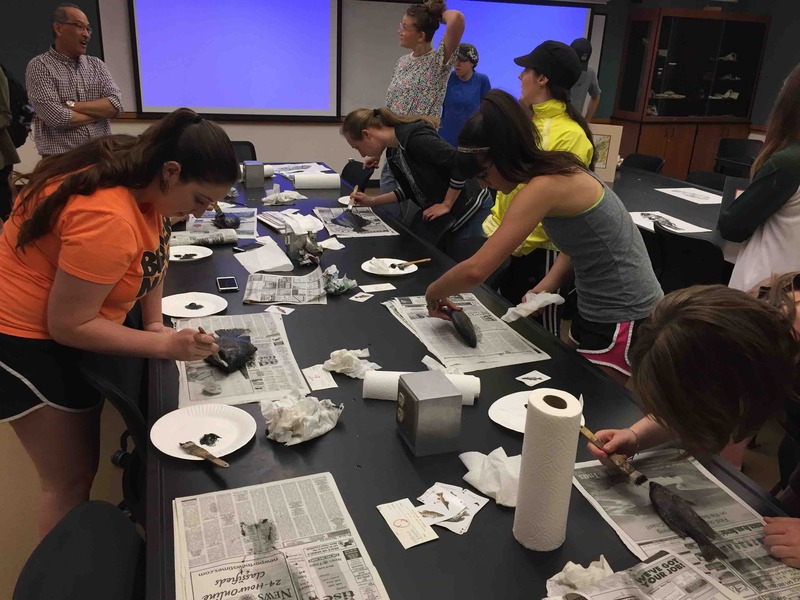 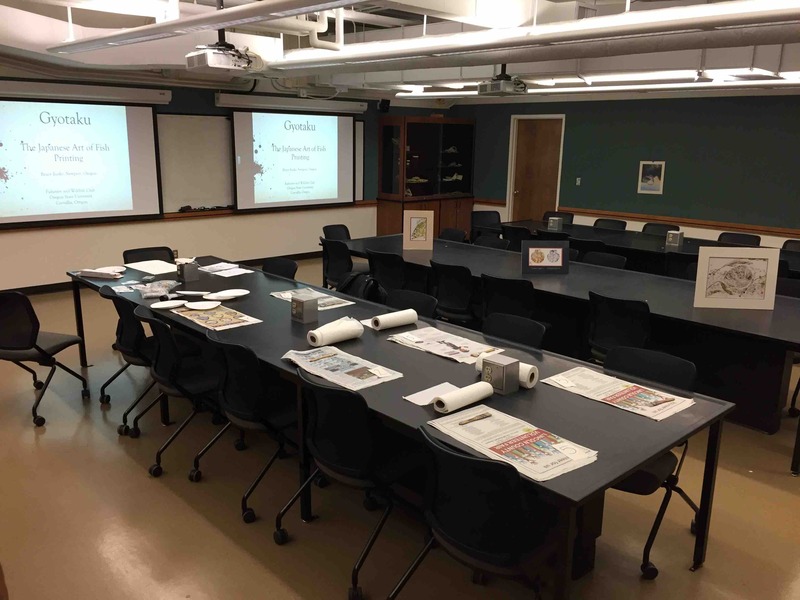 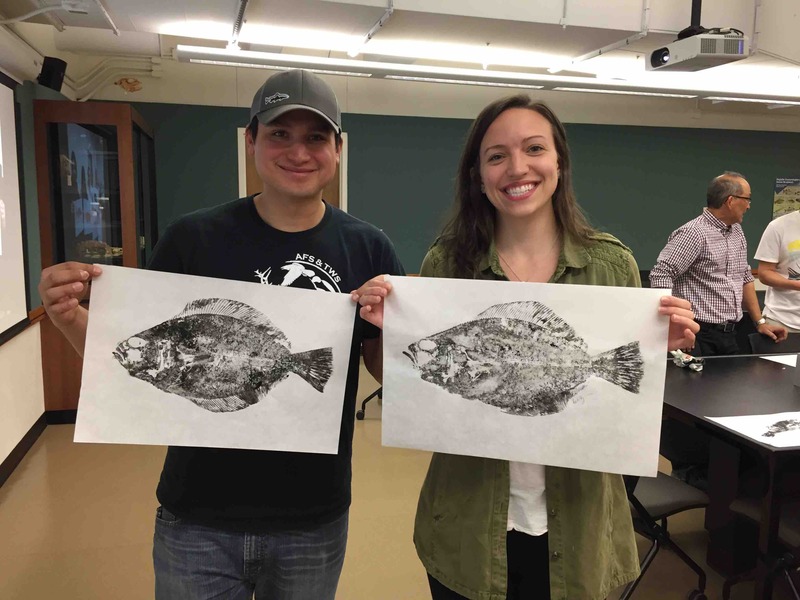 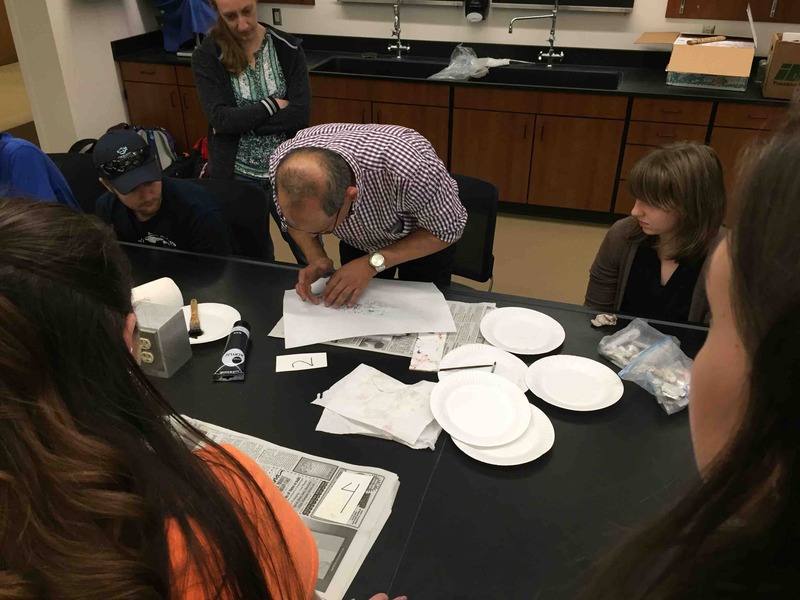 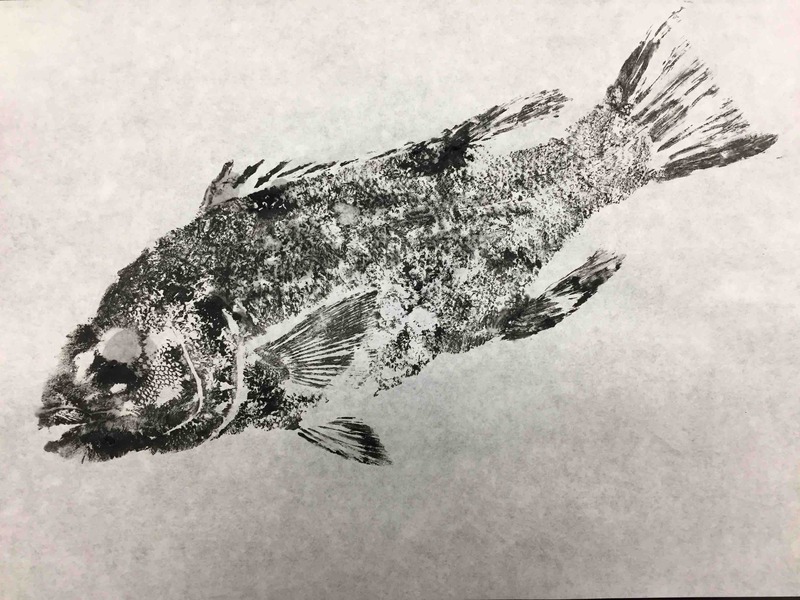 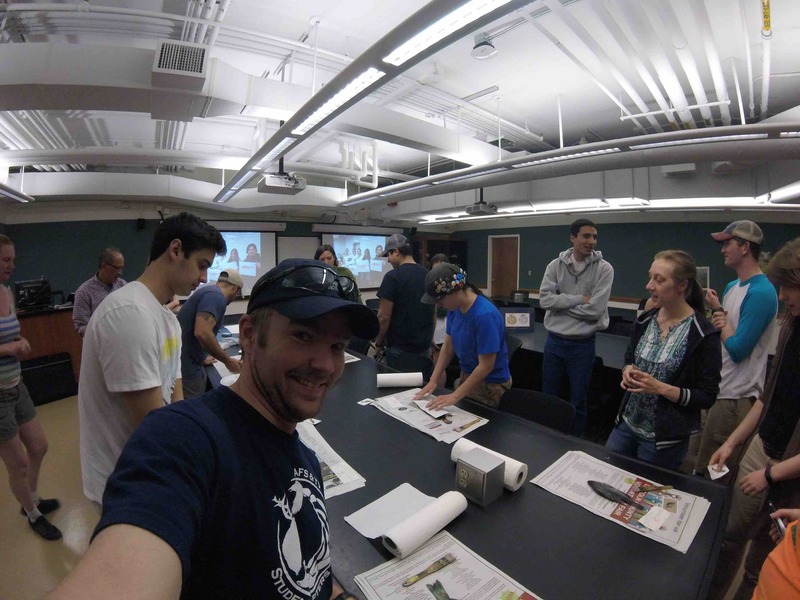 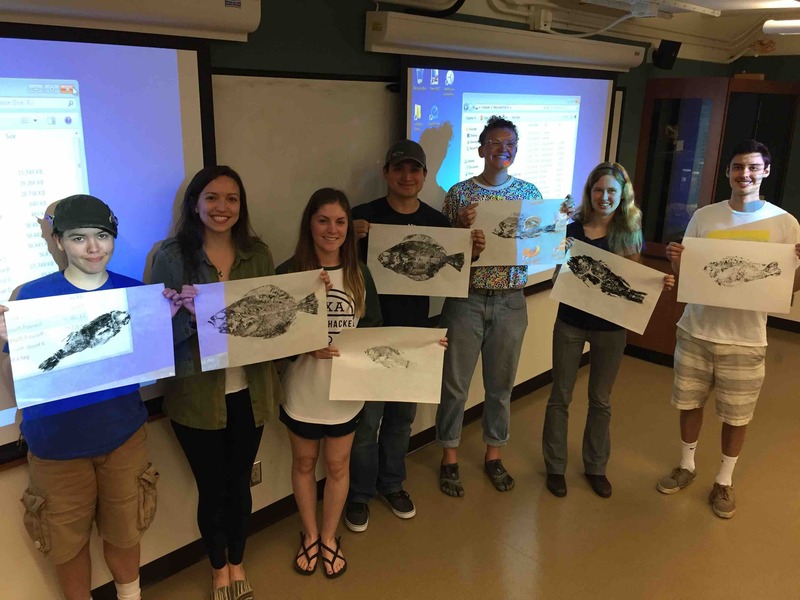 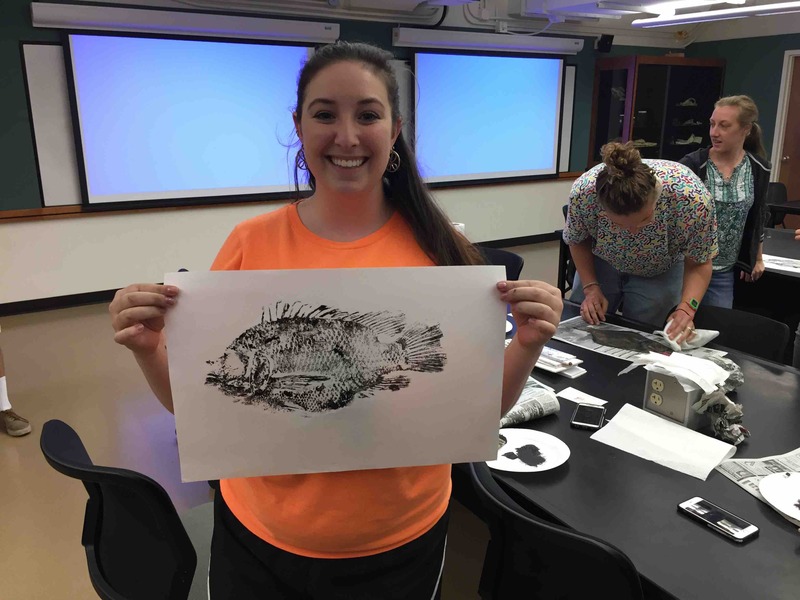 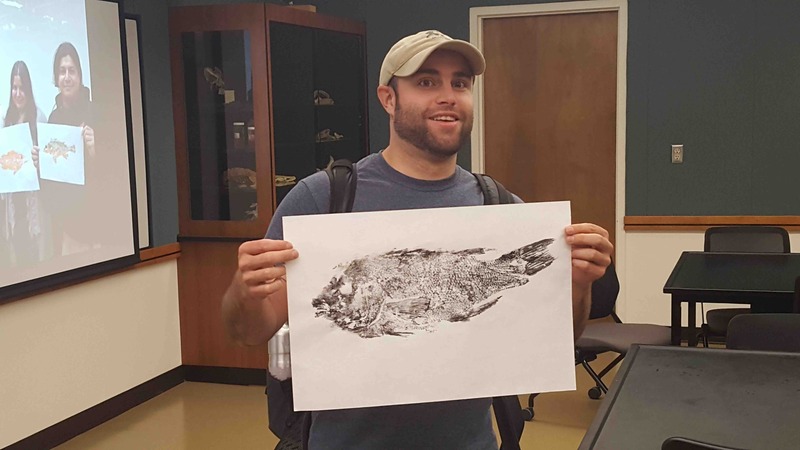 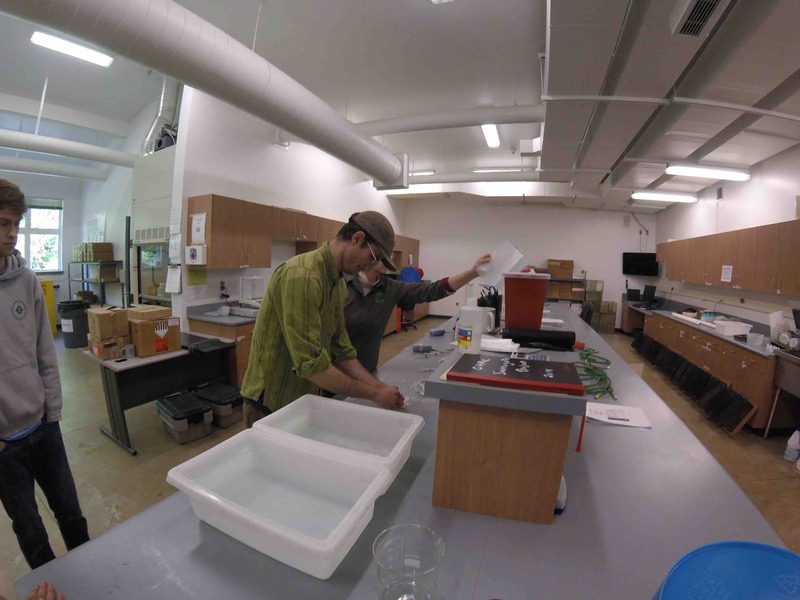 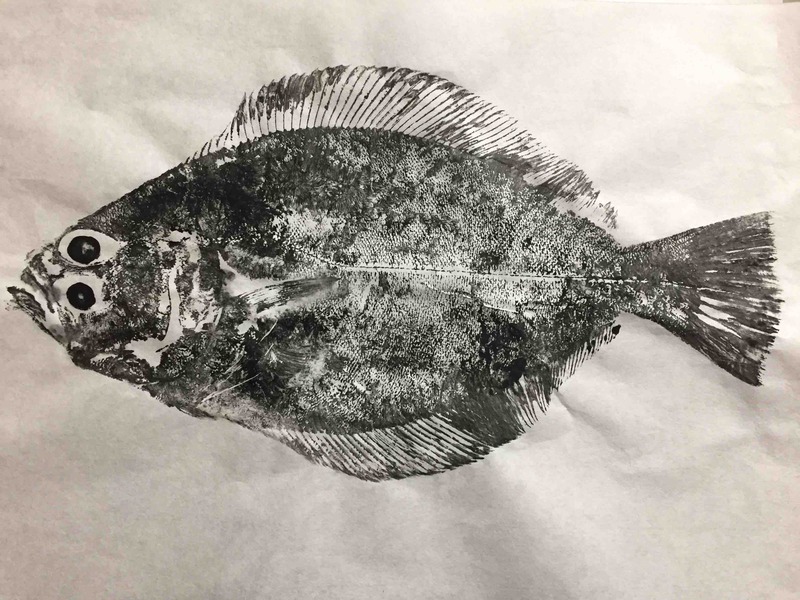 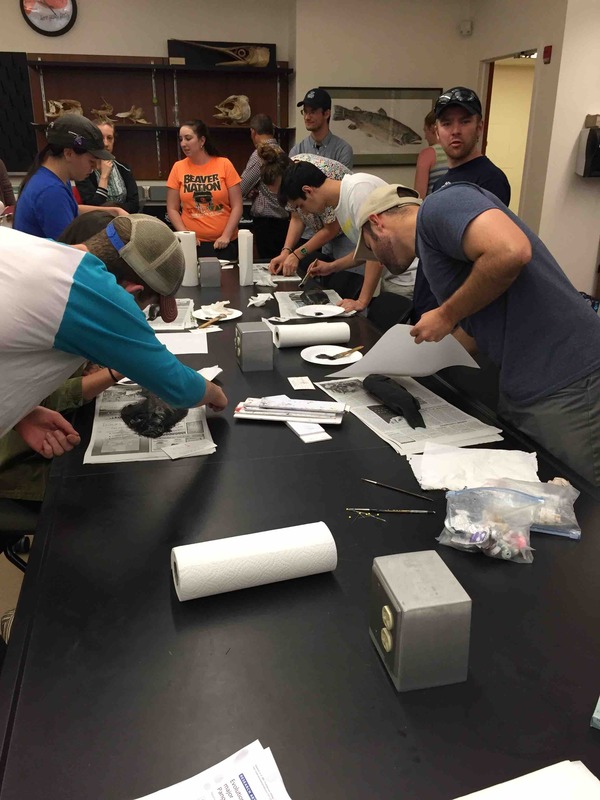 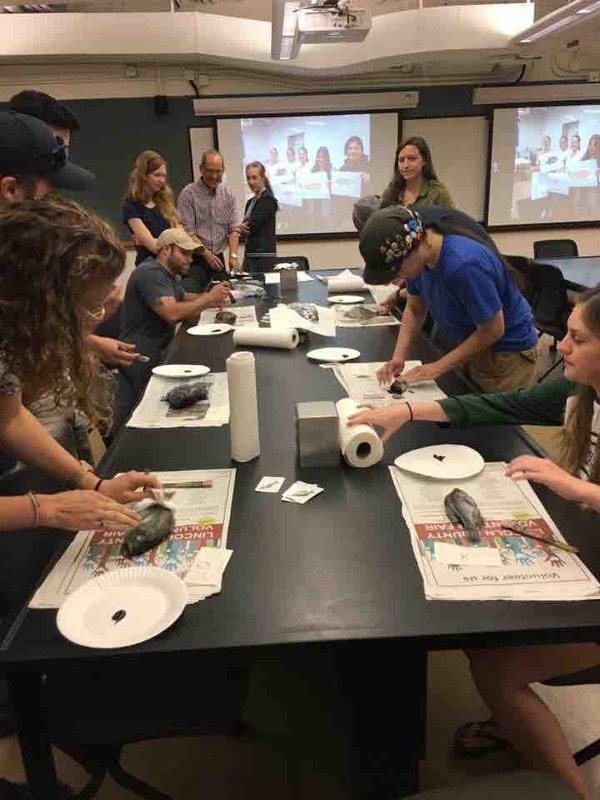 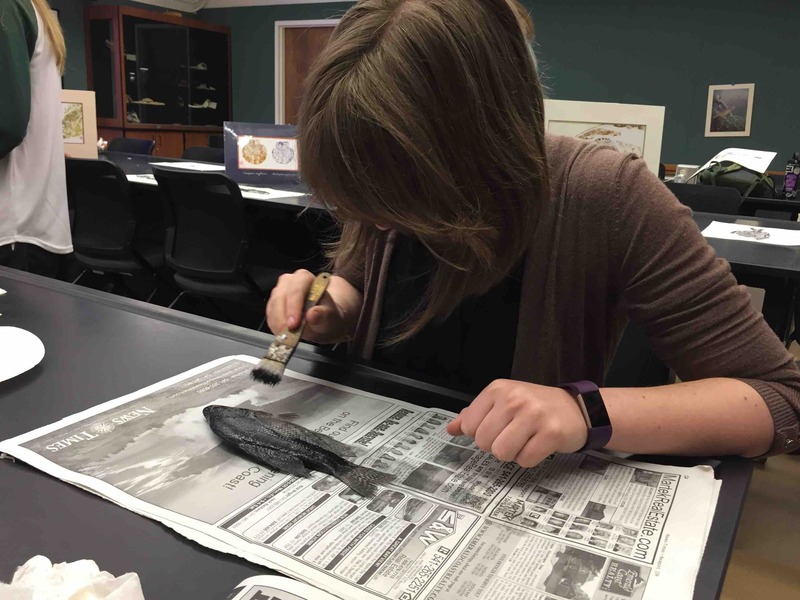 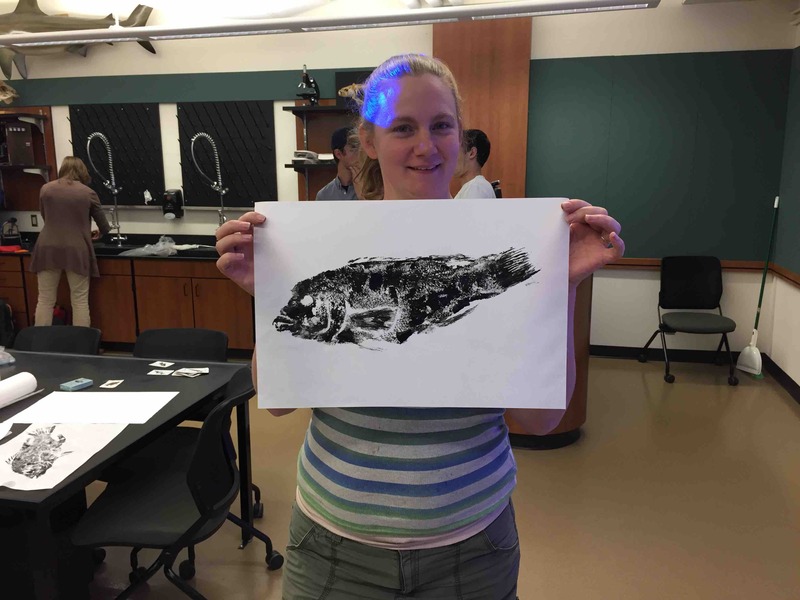 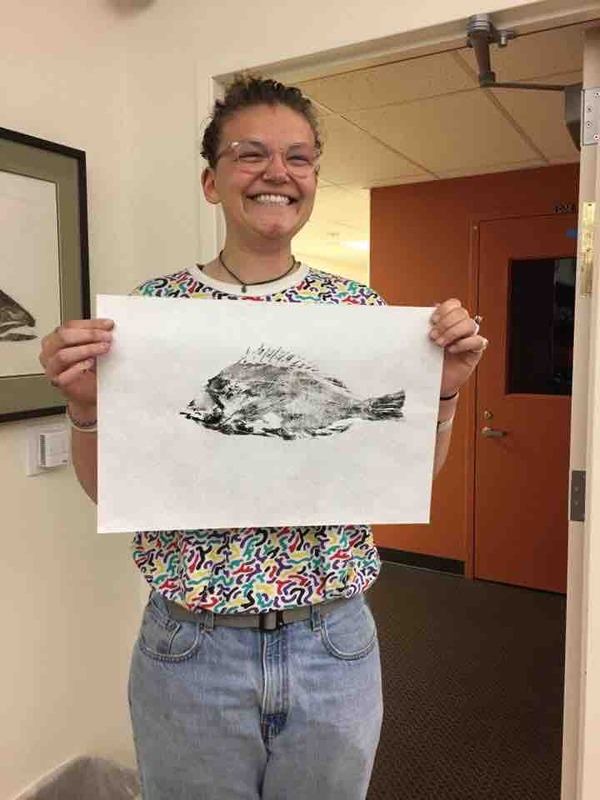 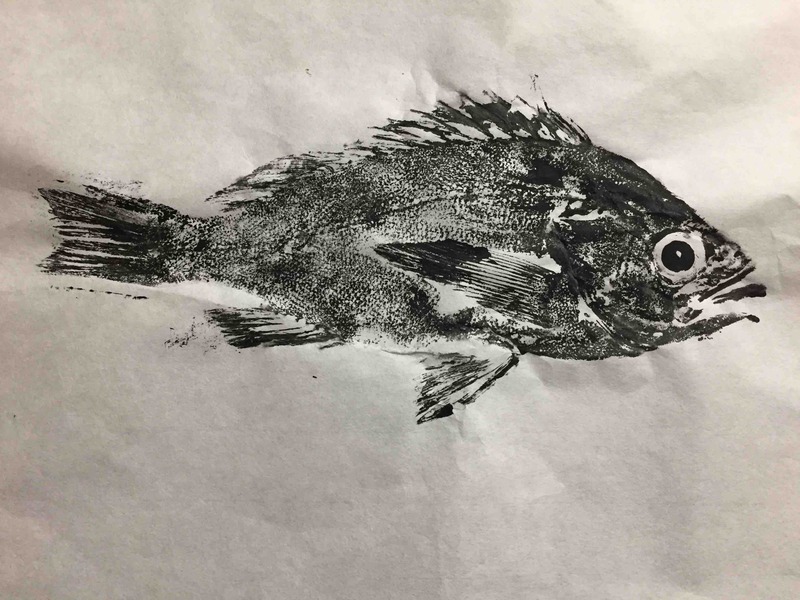 Special guest, Bruce Koike from Little Pond Nature Prints, presented the Gyotaku fish printing method and provided a hands on workshop for undergraduate students at OSU. 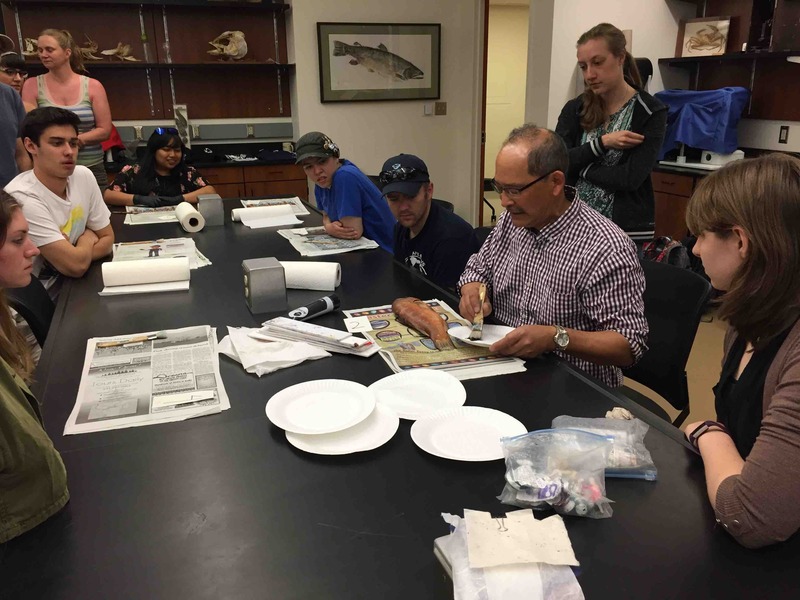 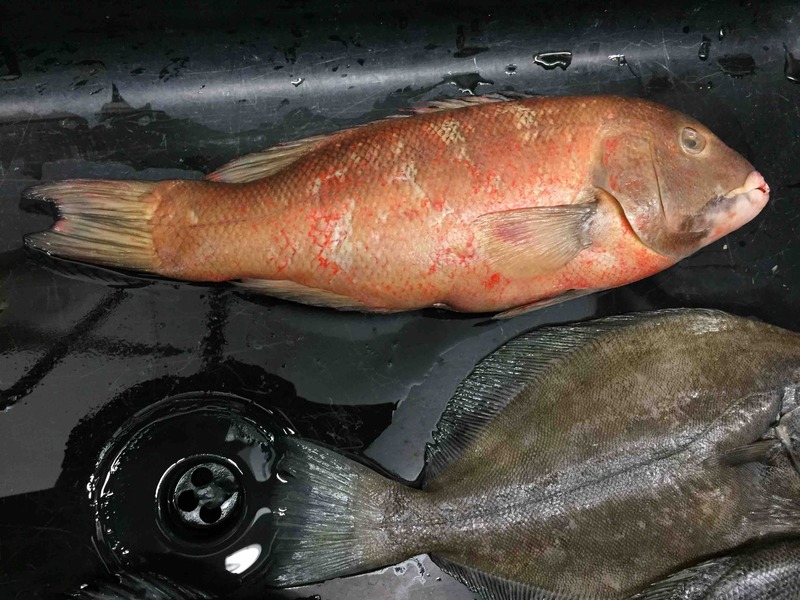  Bruce obtained his Masters degree in Fisheries Science from Oregon State University and has been practicing the art of Gyotaku since 1985. 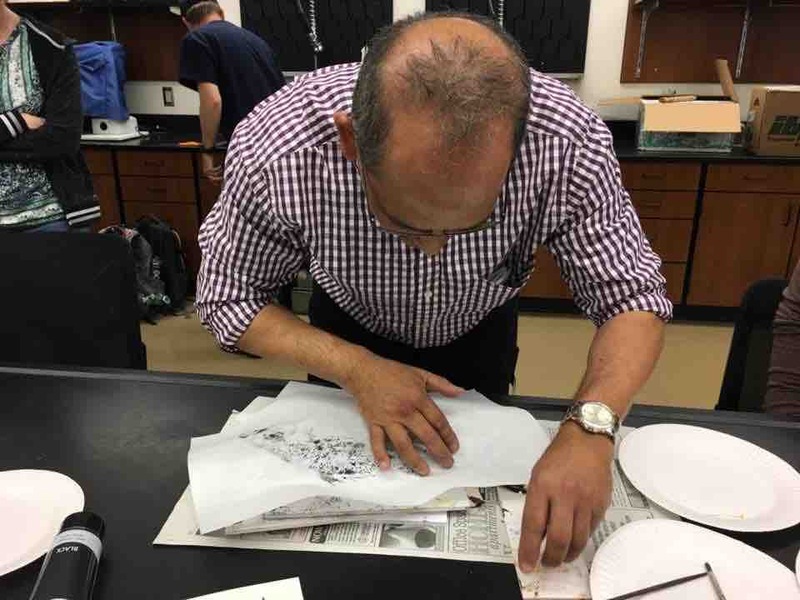 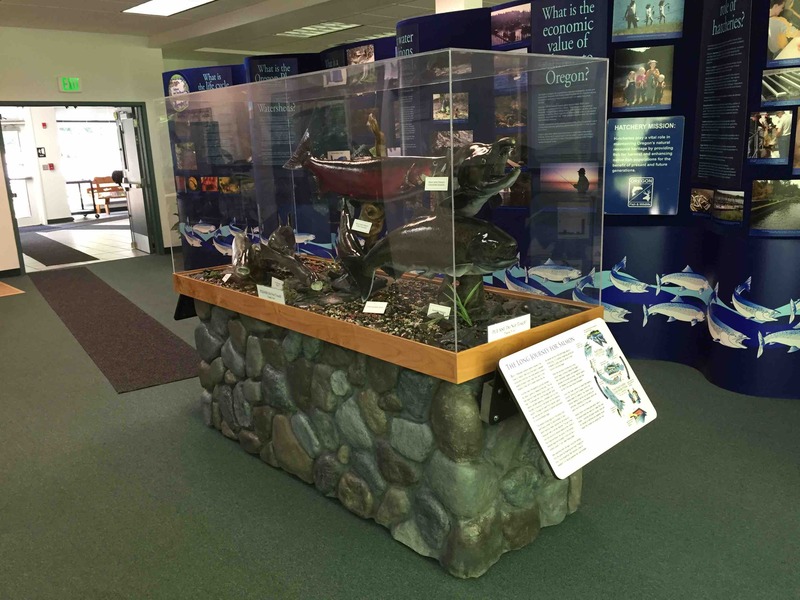 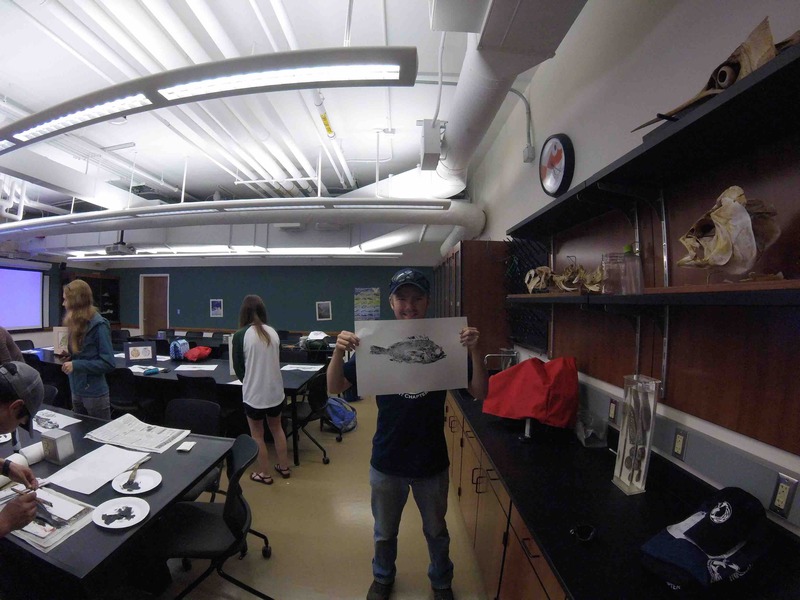 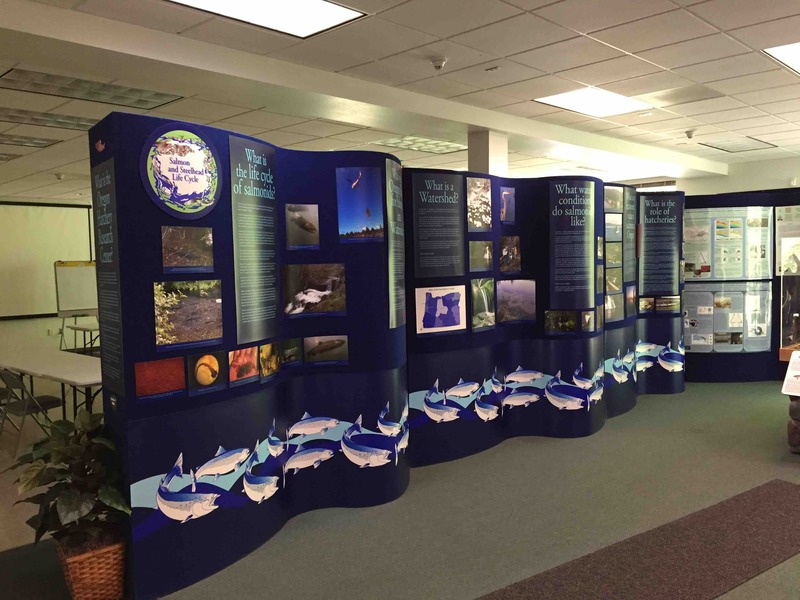 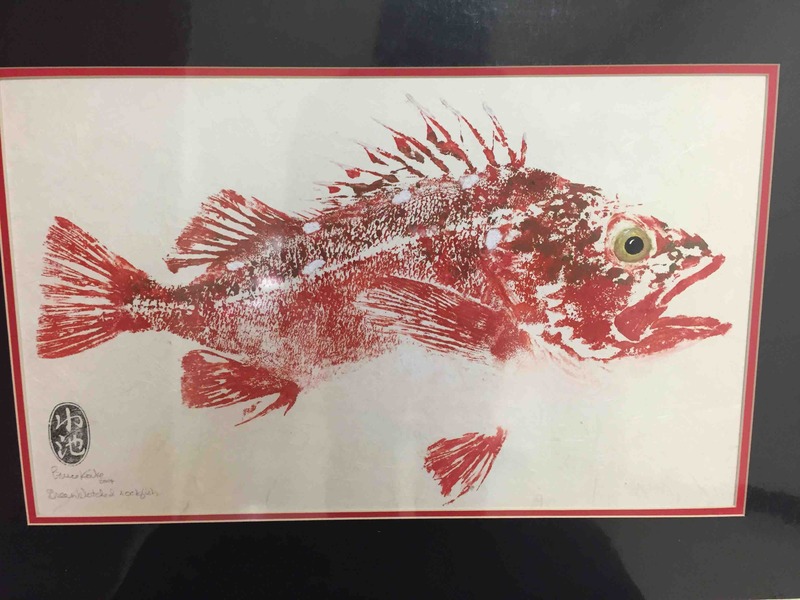 With his background in fisheries science and years of practice, Bruce brings to life the many organisms placed on paper. 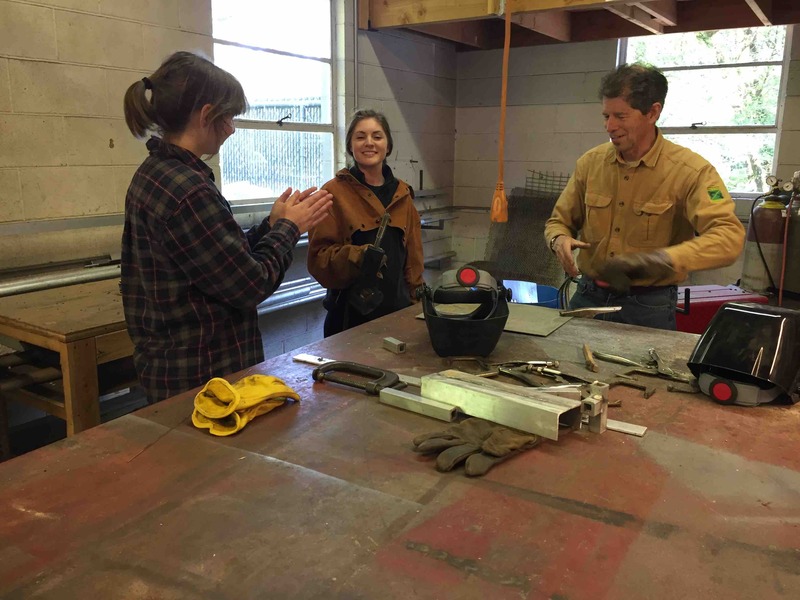 Bruce generously provided his time and resources and it was a pleasure to have him here with us! 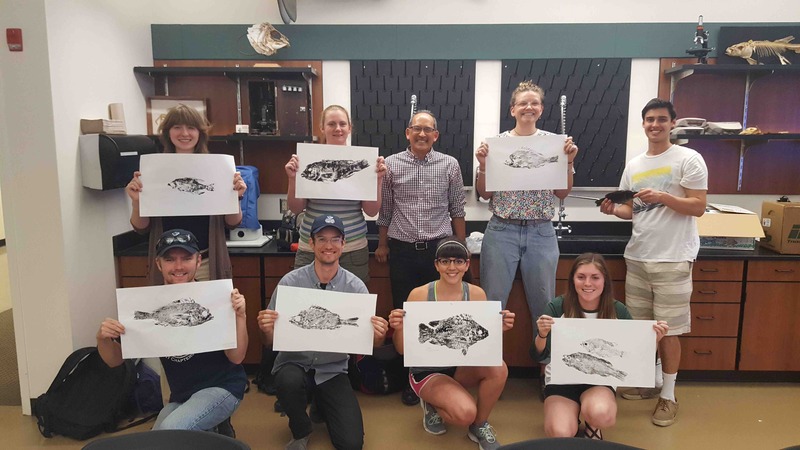 Everyone had a great time making their own prints of different fishes, experimenting with different techniques, and engaging with others Thanks to everyone who came and to learn more about Bruce’s work, check out his website!! 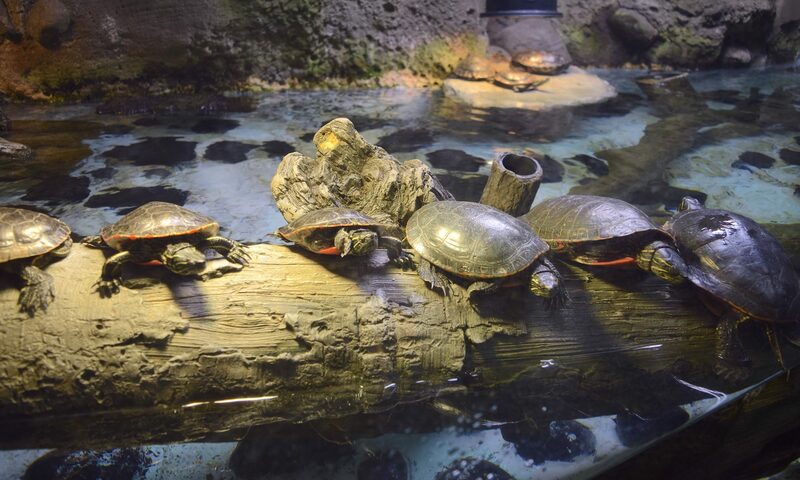 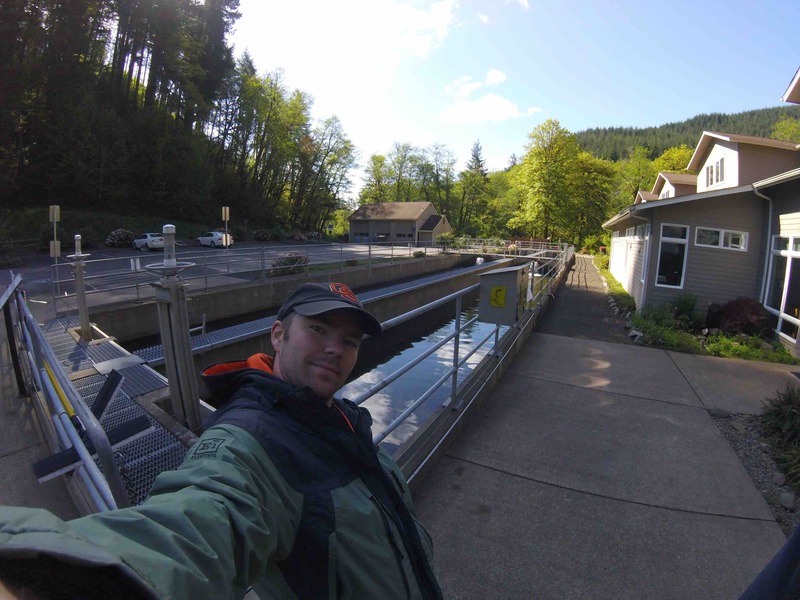 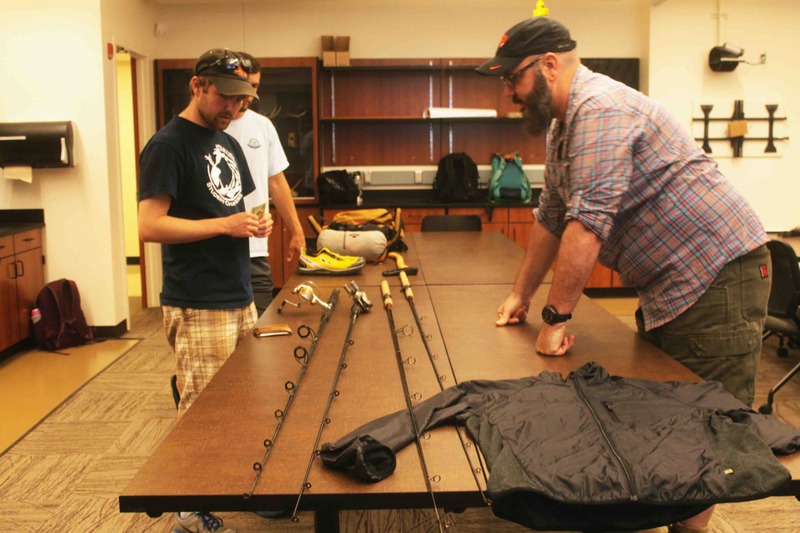 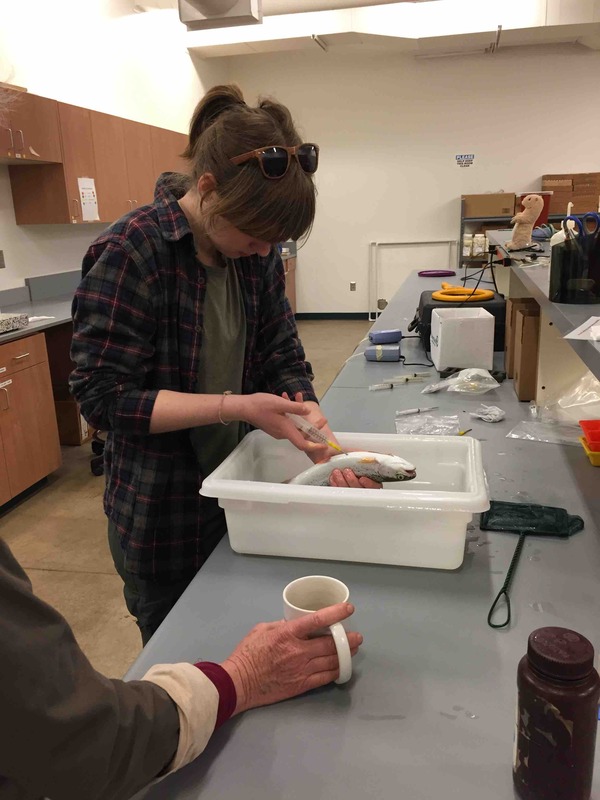 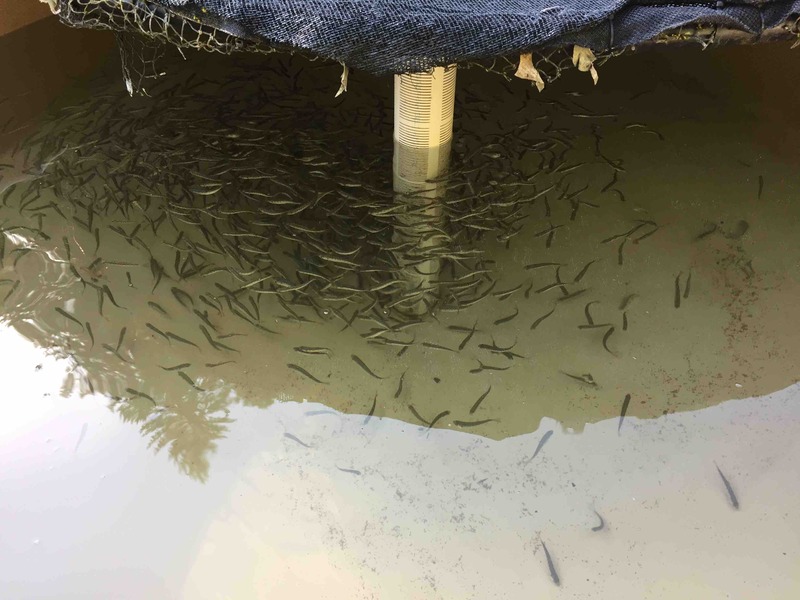 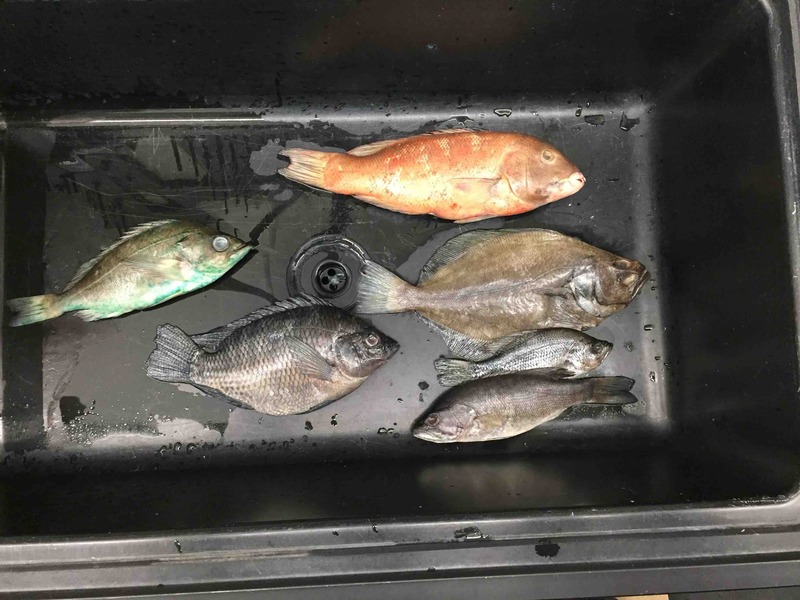 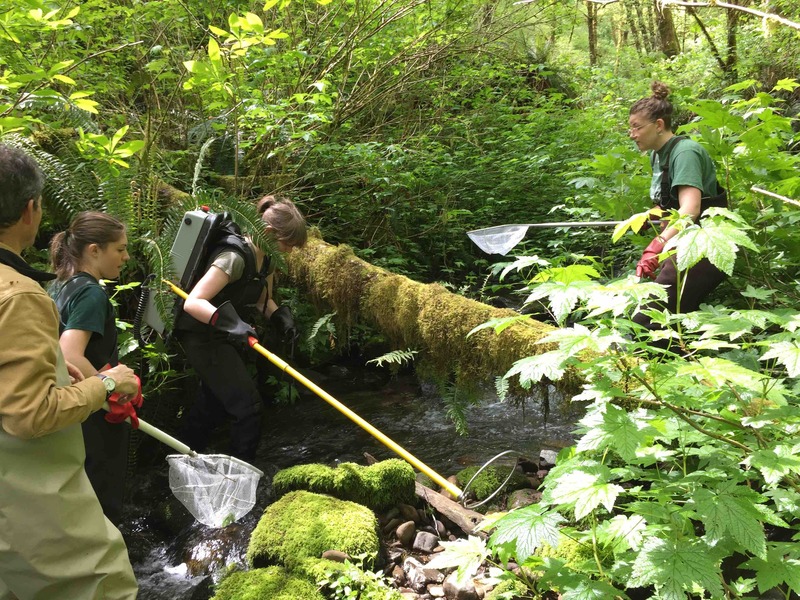 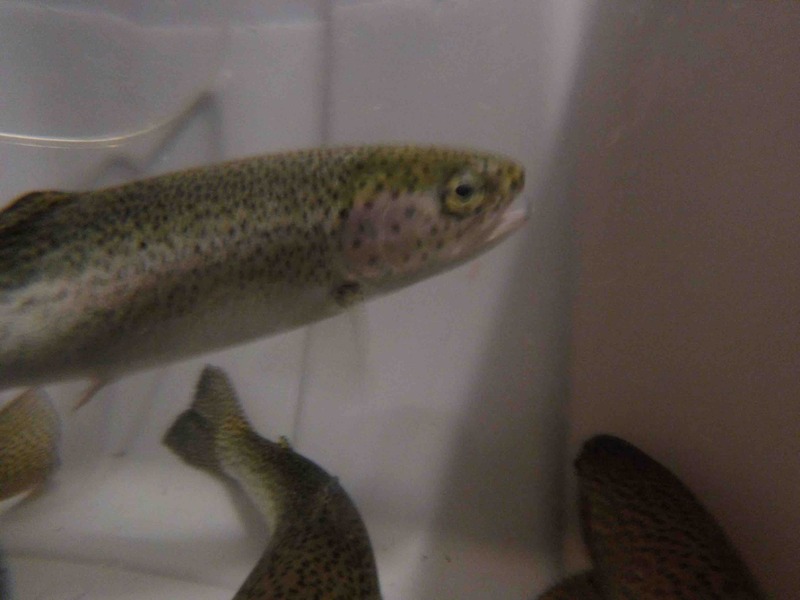 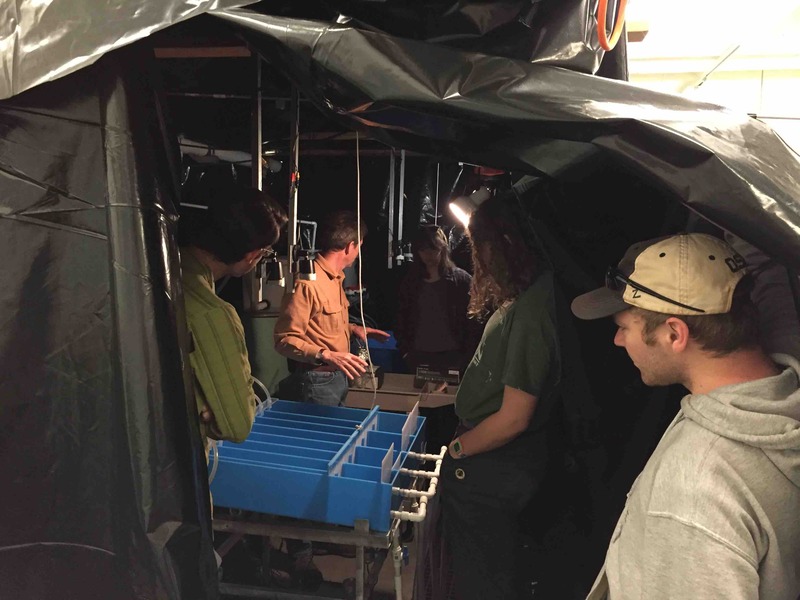 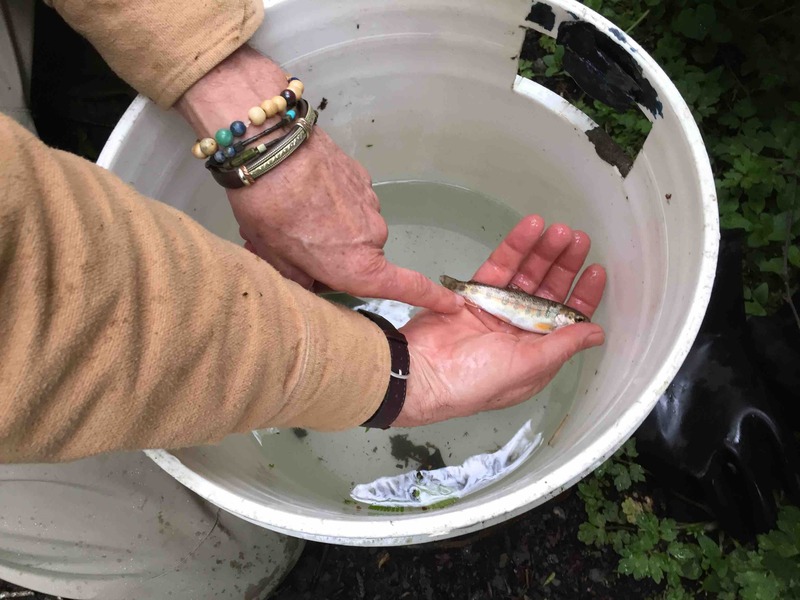 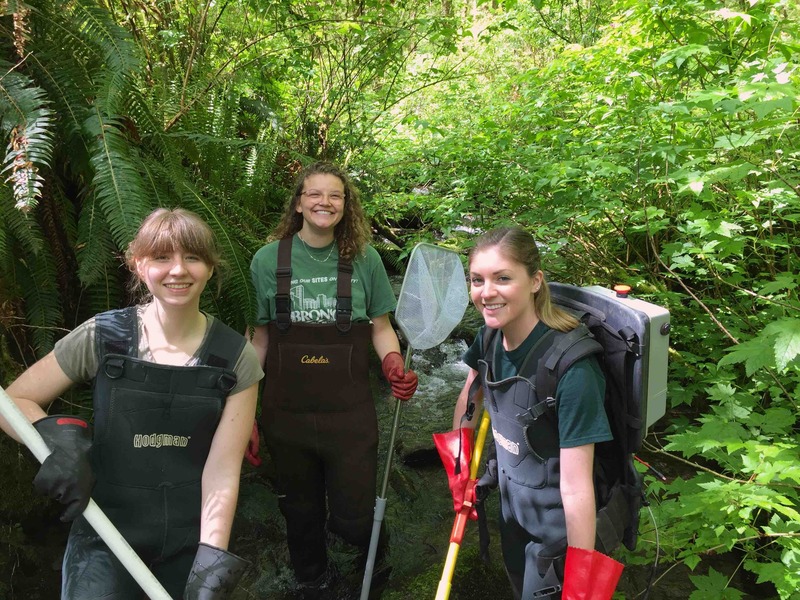 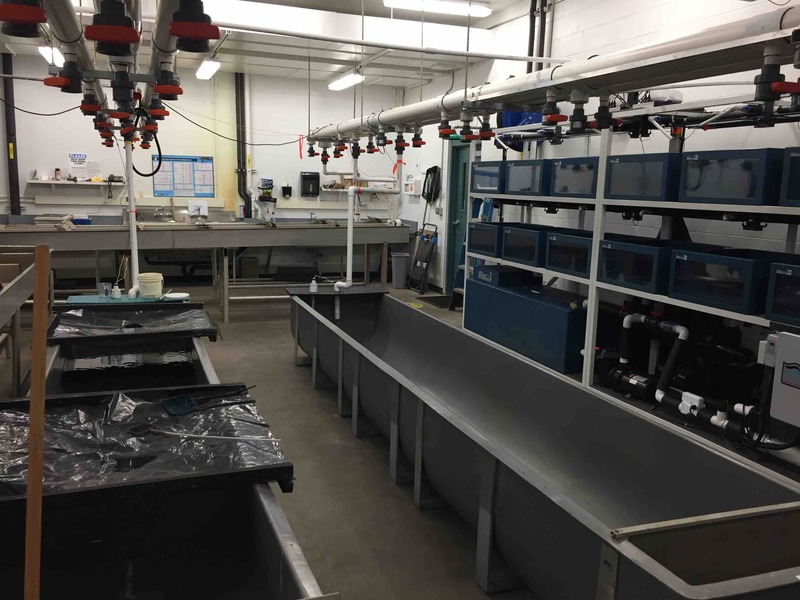 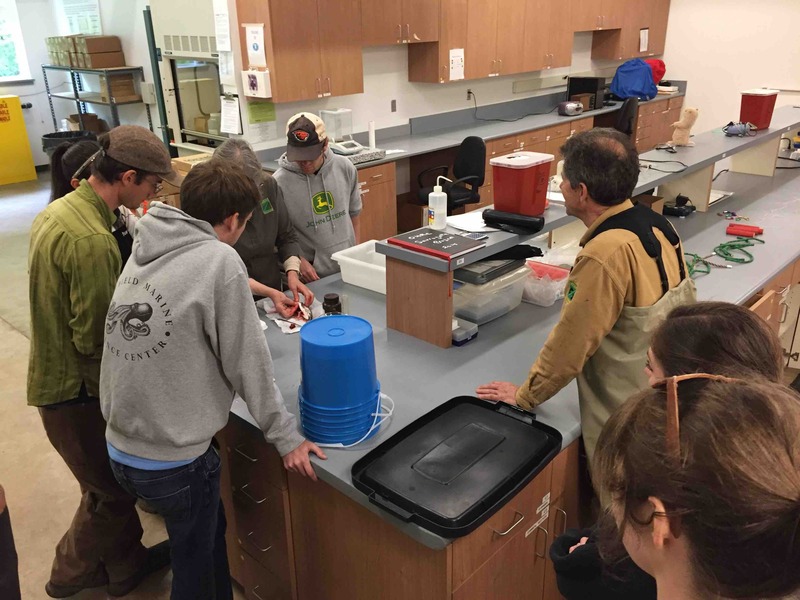 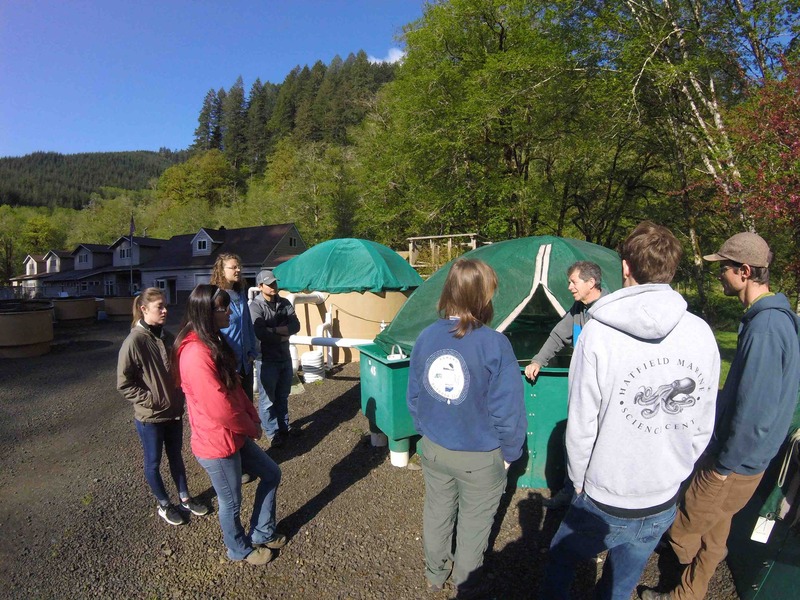 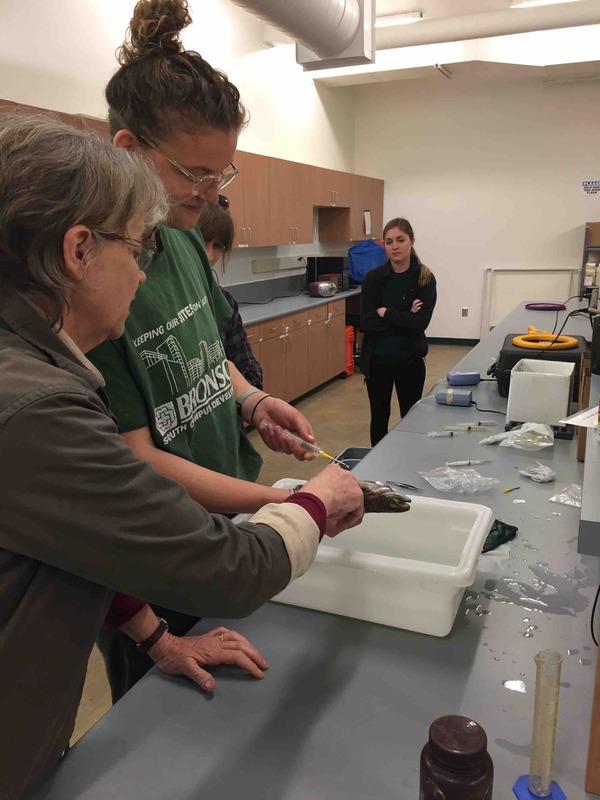 The Fisheries and Wildlife Club provided a hands on, skills-oriented workshop at the Oregon Hatchery Research Center near Alsea, OR. 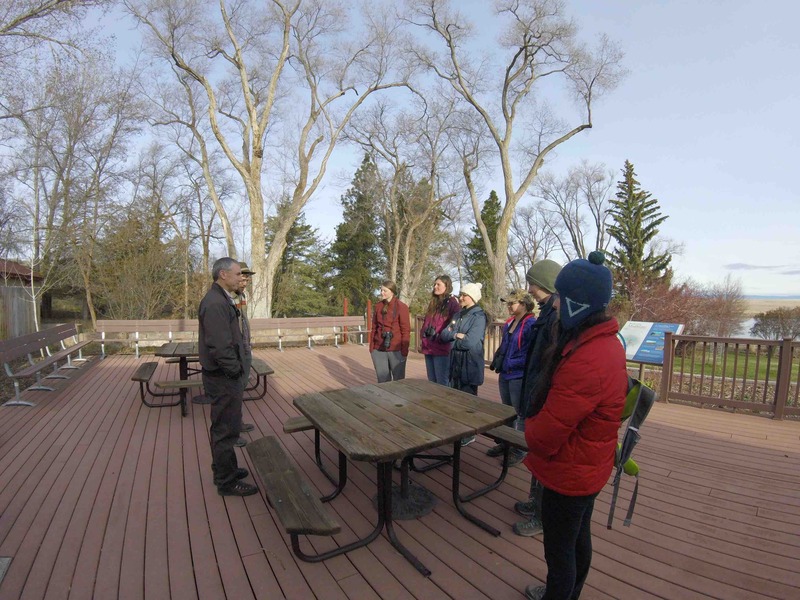 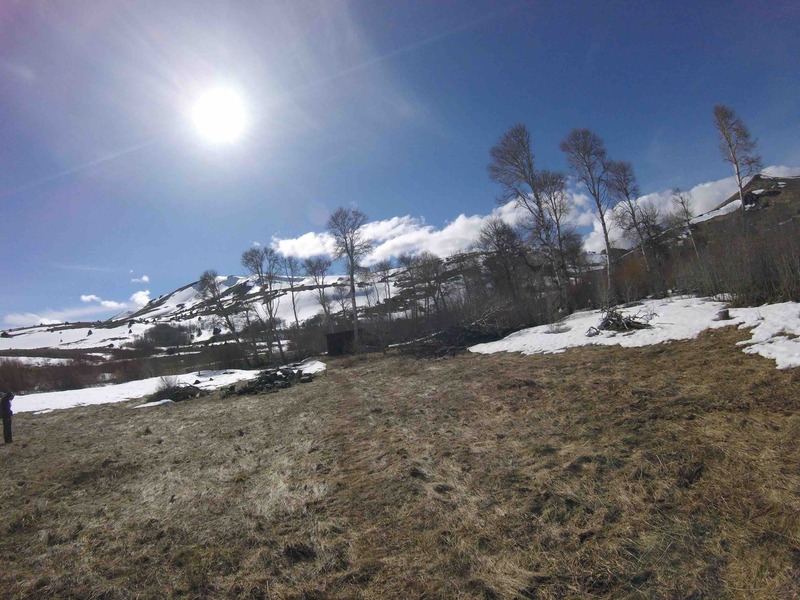 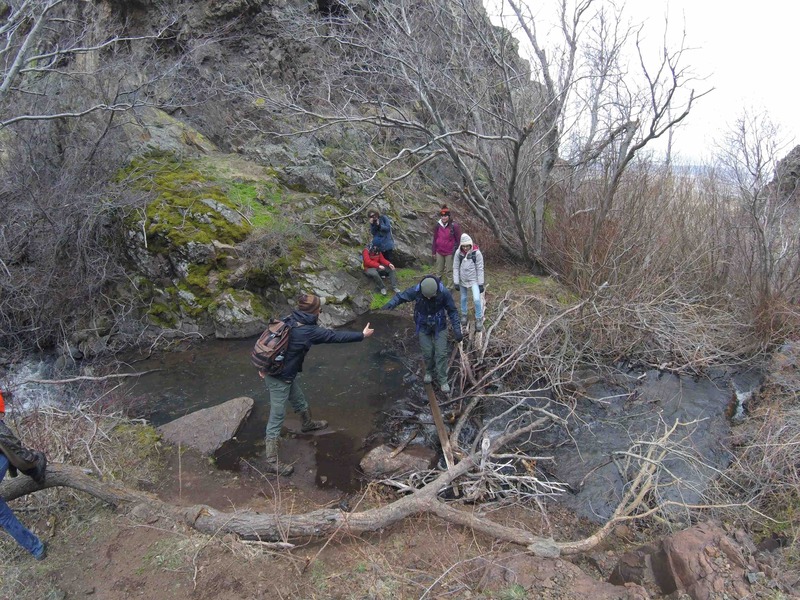 This would not have been possible without the generous time and resources provided by Joseph O’Neil (OHRC Facility Manager) and Karen Hans (ODFW STEP Biologist). 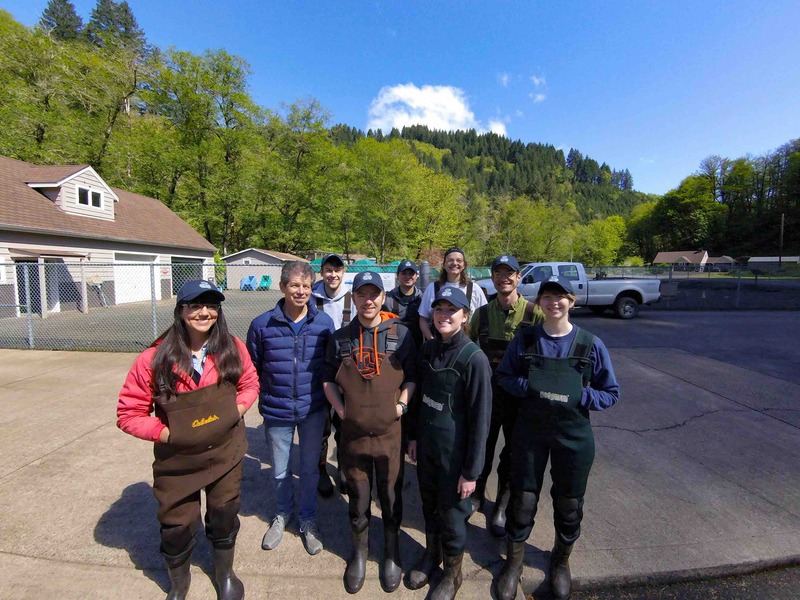 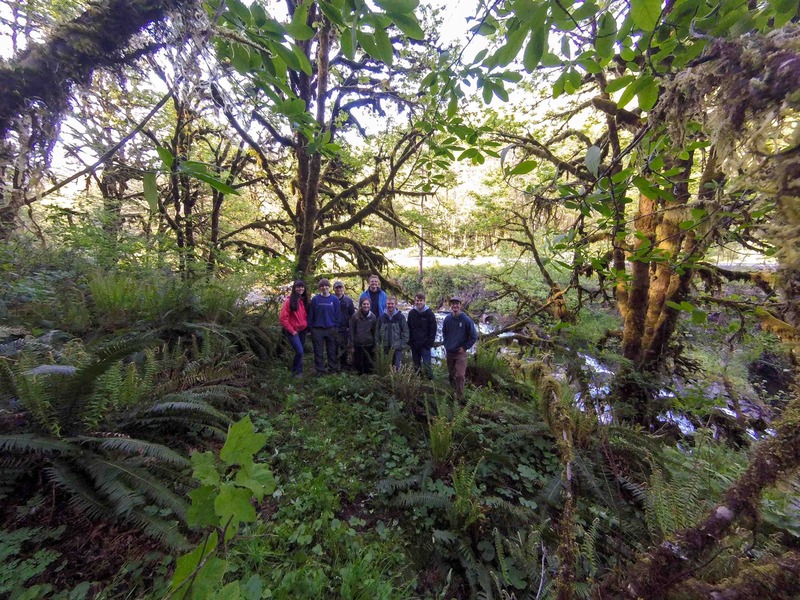 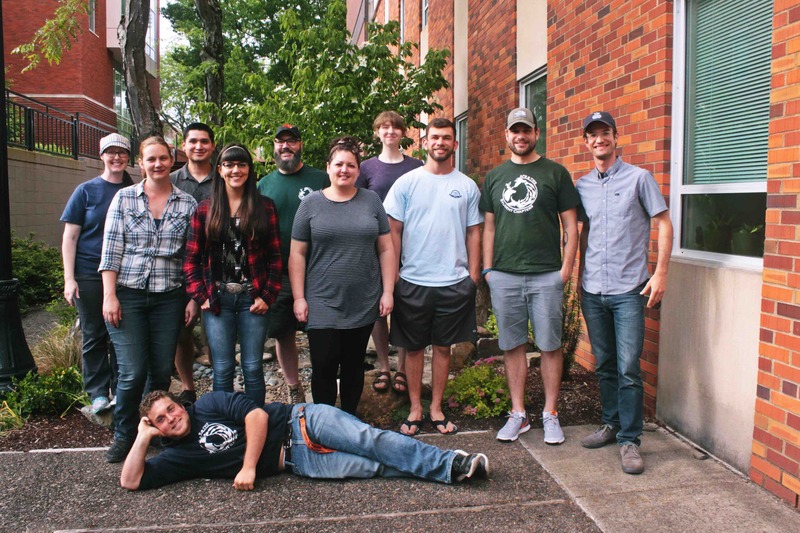 This was an excellent opportunity for students to visit one of ODFW’s state-of-the-art research facilities in a beautiful location and get valuable experience to prepare for summer internships! 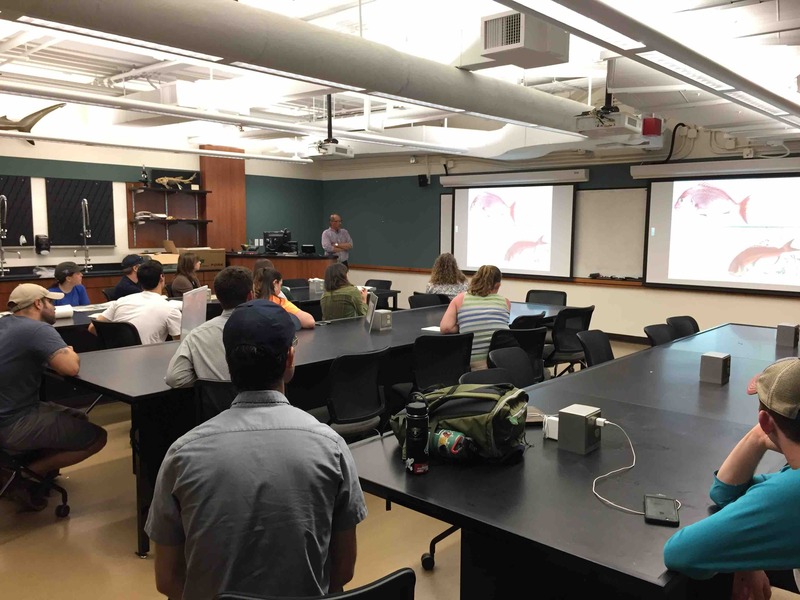 Guest speaker Graham Evan-Peters, former OSU FW grad discussed his research and experiences. 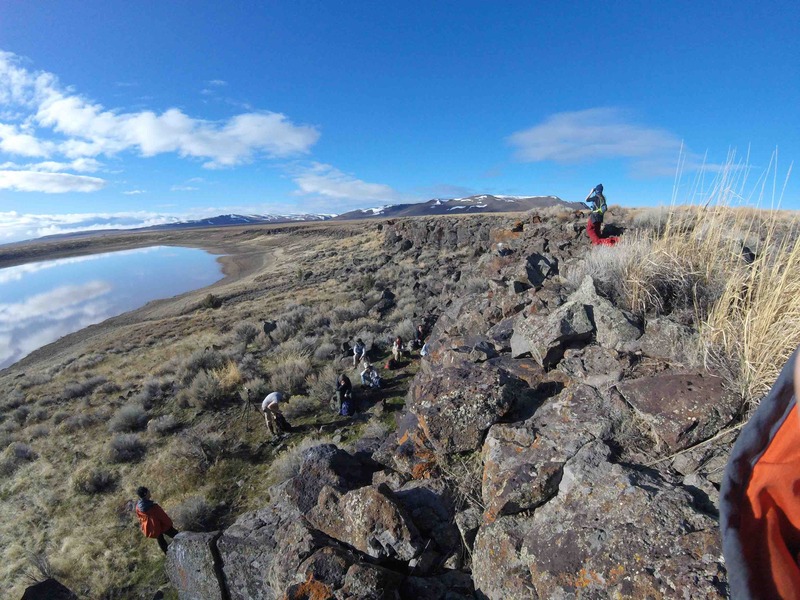 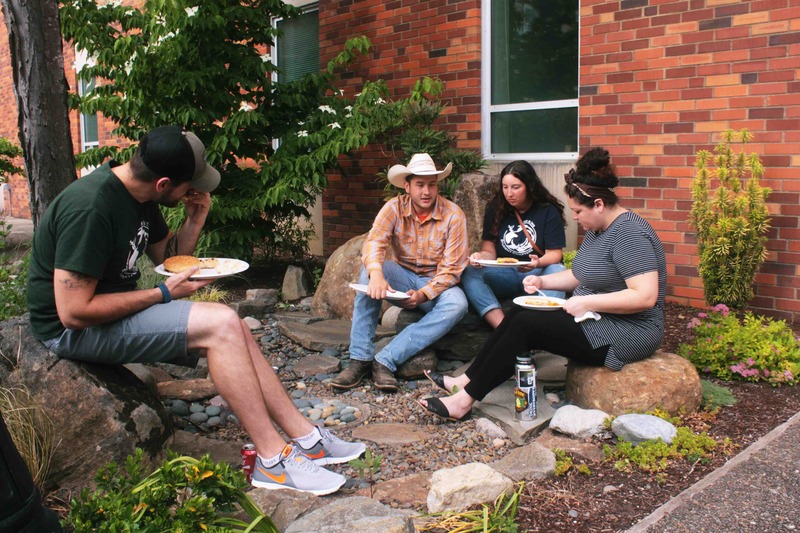 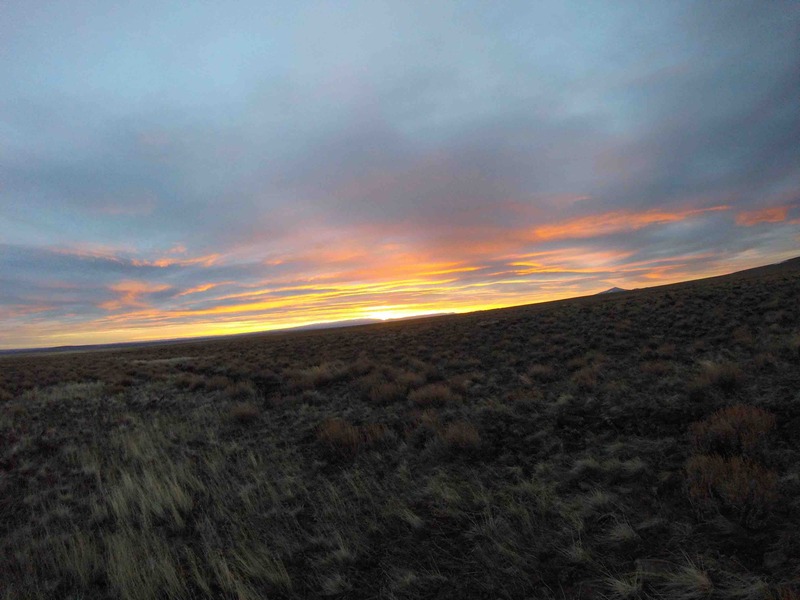 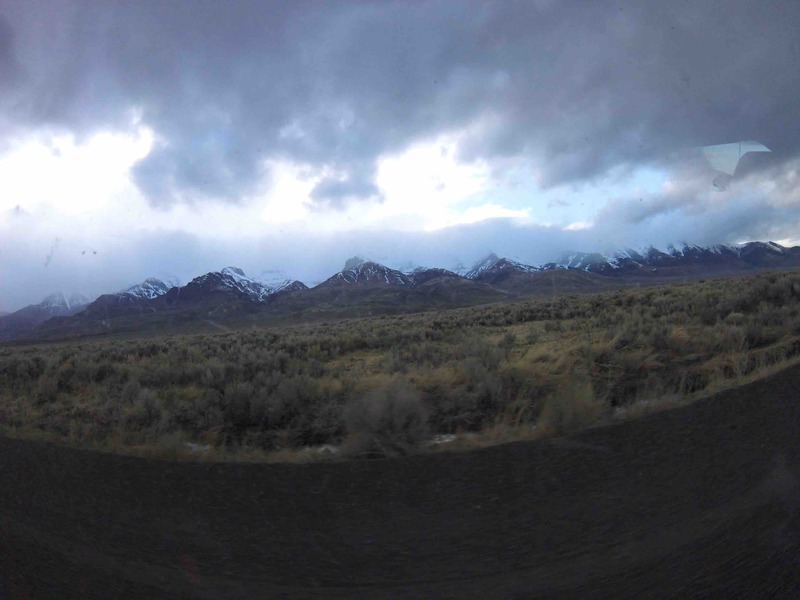 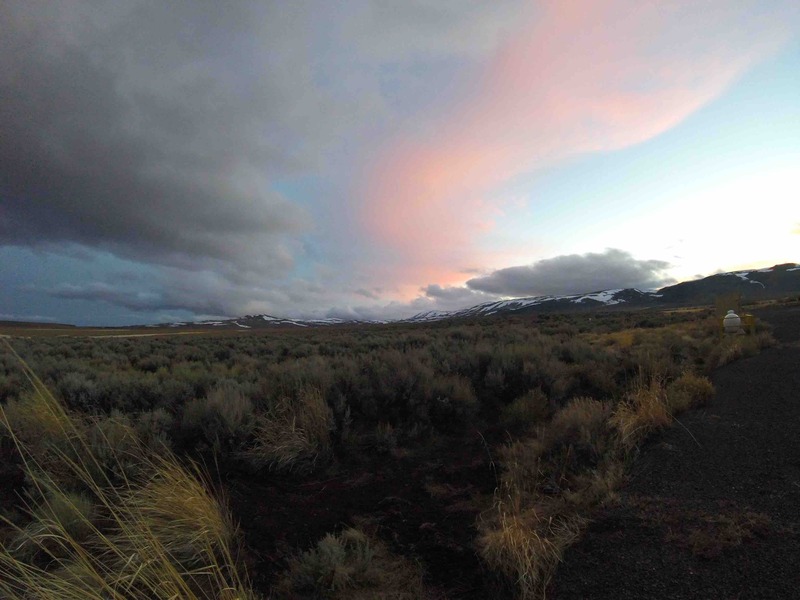 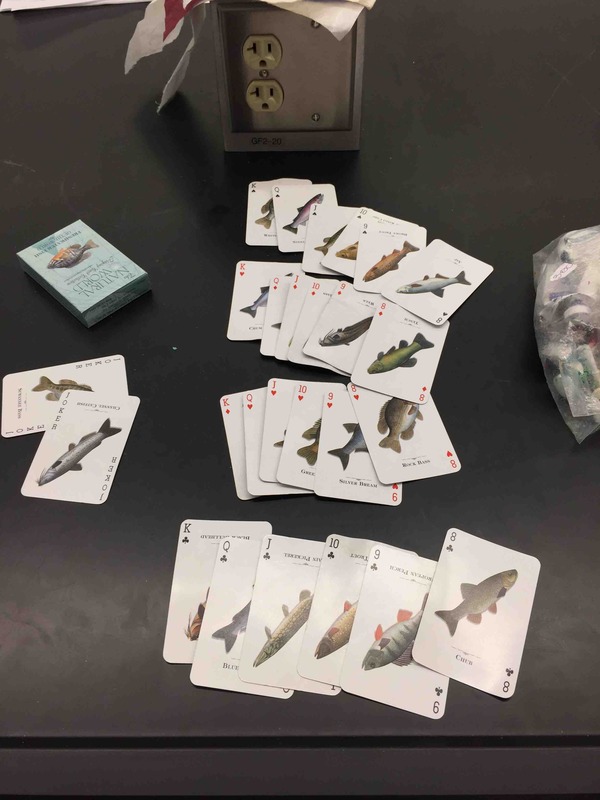 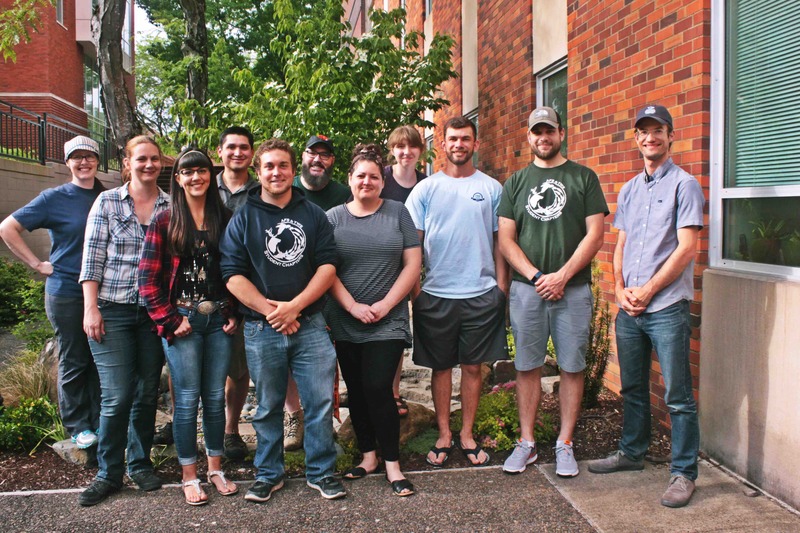 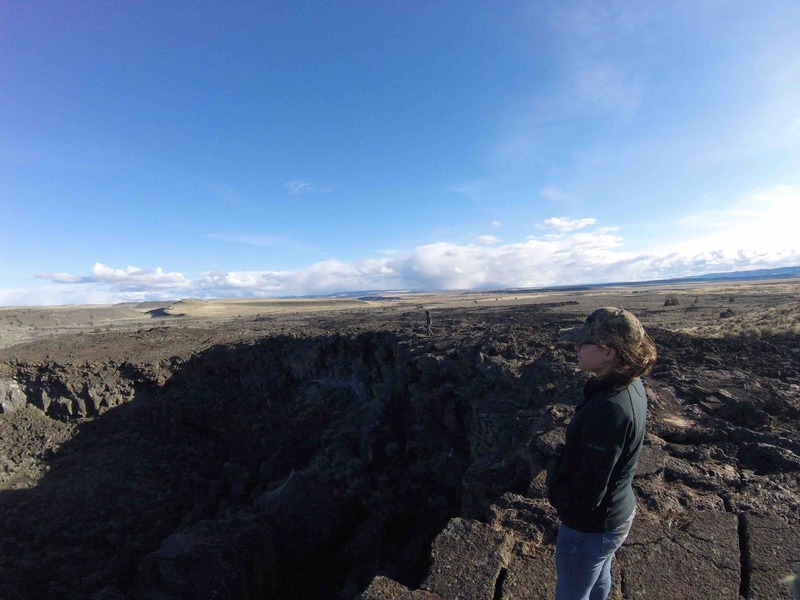 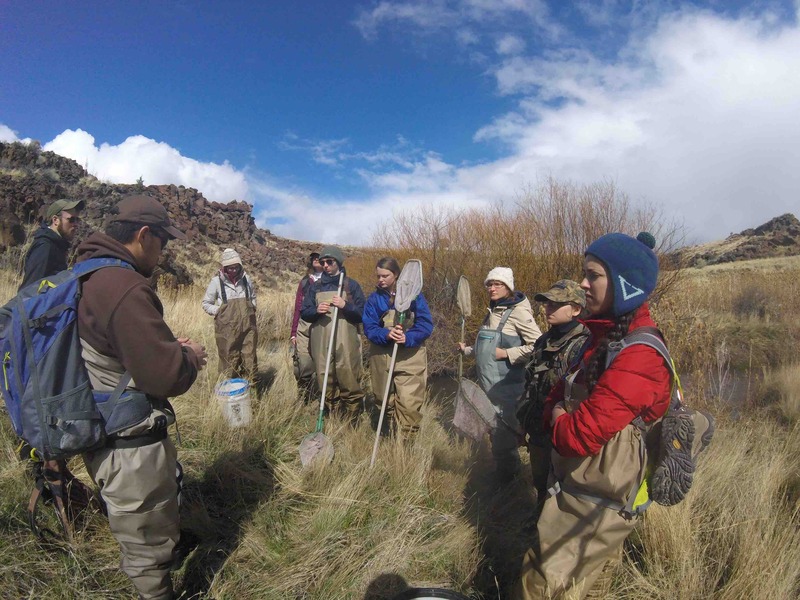 During spring break, The Fisheries and Wildlife Club set out with the OSU Bird Nerds on a journey to southern Oregon to conduct Greater Sage Grouse lek surveys and redband trout population estimates. 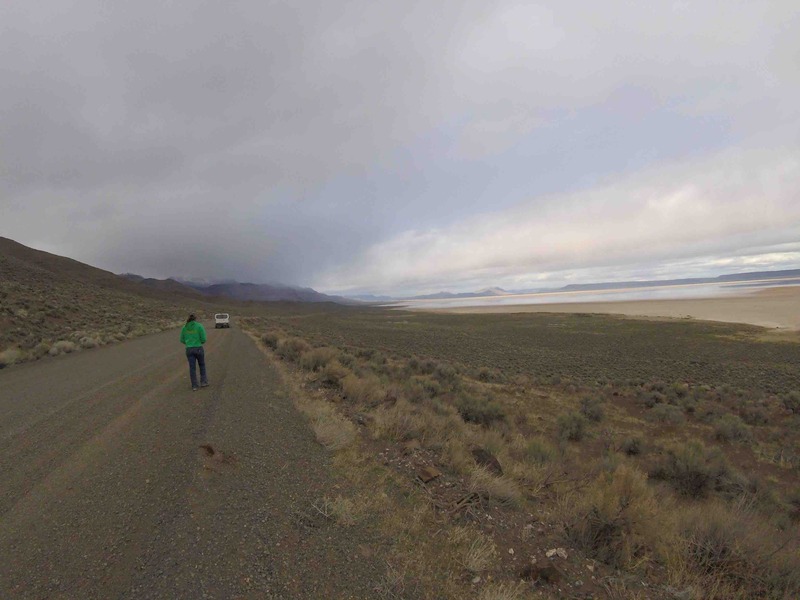 On our way to Hart Mountain, we stopped by Chickahominy Reservoir to observe waterfowl and drove through large expanses of sand dunes. 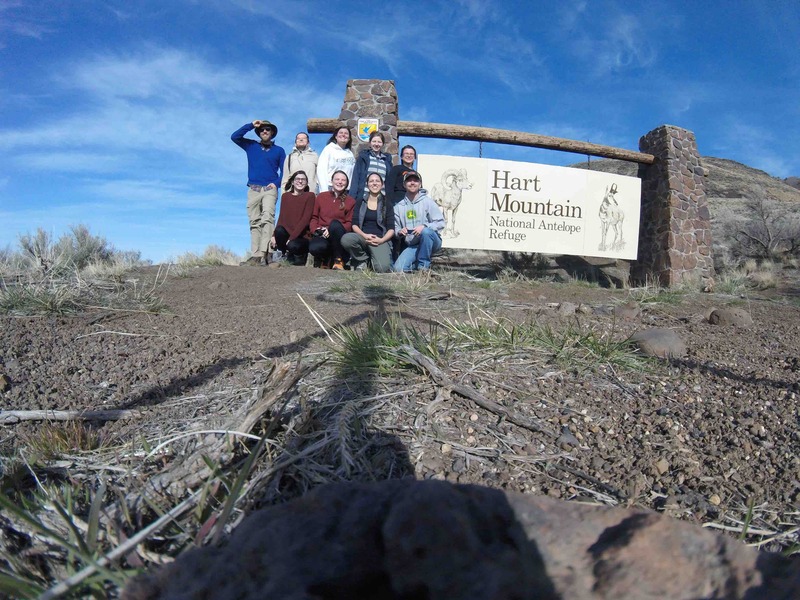 At Hart Mountain National Antelope Refuge, our group of nine students worked together to estimate Sage Grouse surveys, we went on many adventures while exploring the landscape within the refuge, including visiting Degarmo Canyon, inspecting Native American drawings at Petroglyph Lake, discovering an old sheepherder’s cabin at the base of Hart Mountain, and soaking in the hot spring at Hart Mountain Hot Springs Campground. 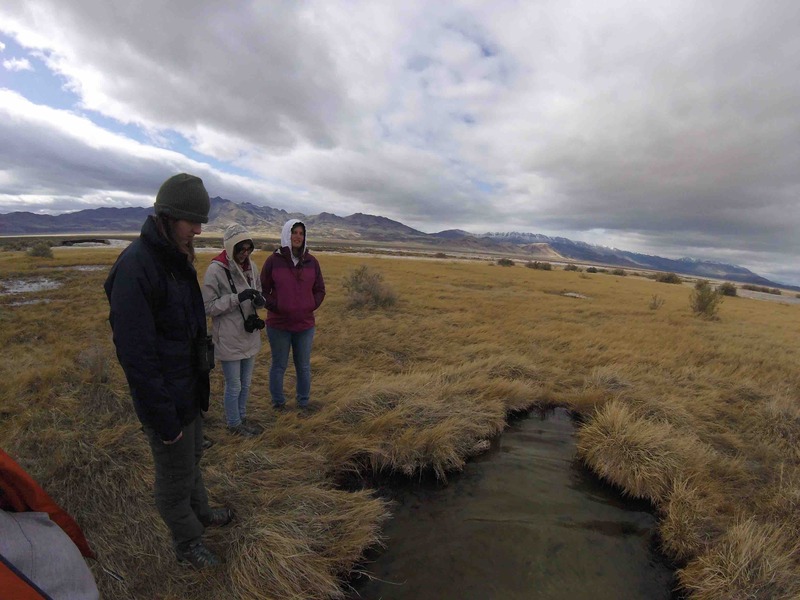 We also saw tons of other wildlife throughout the refuge including pronghorn, mule deer, coyotes, harriers, golden eagles, meadowlarks, and much more. 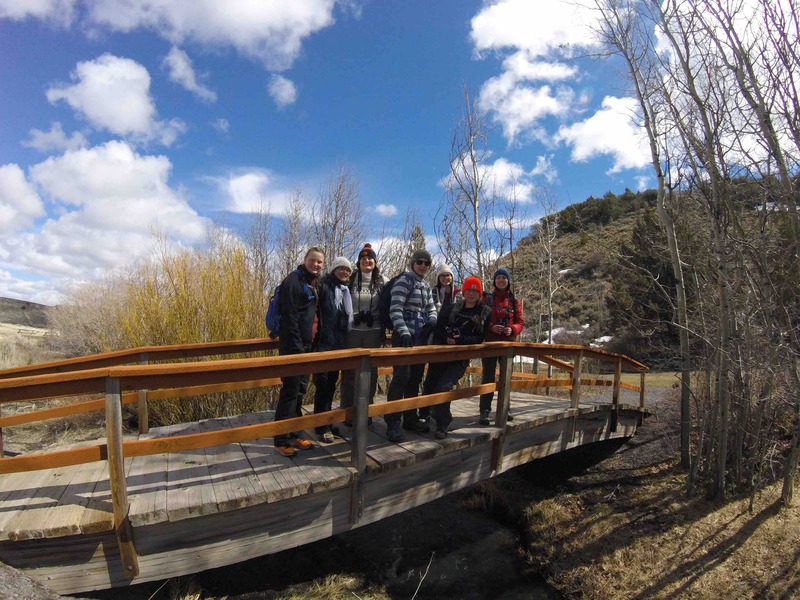 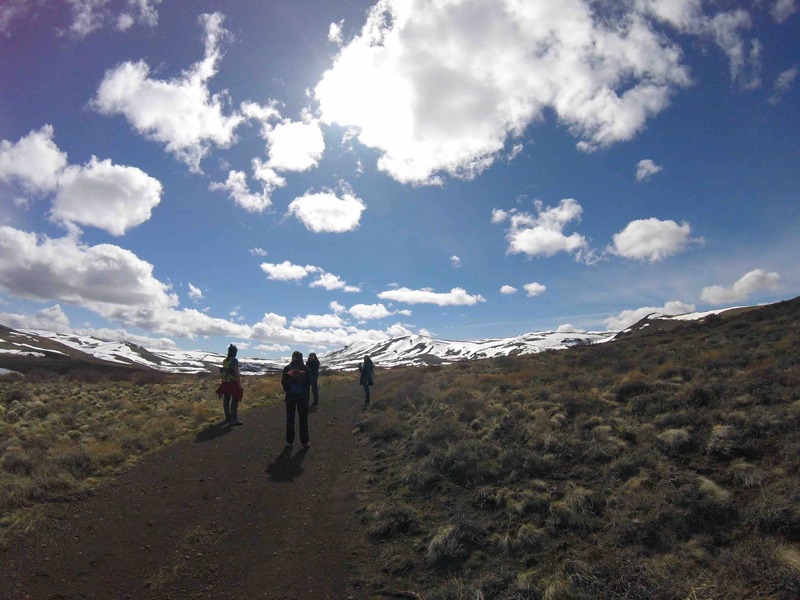 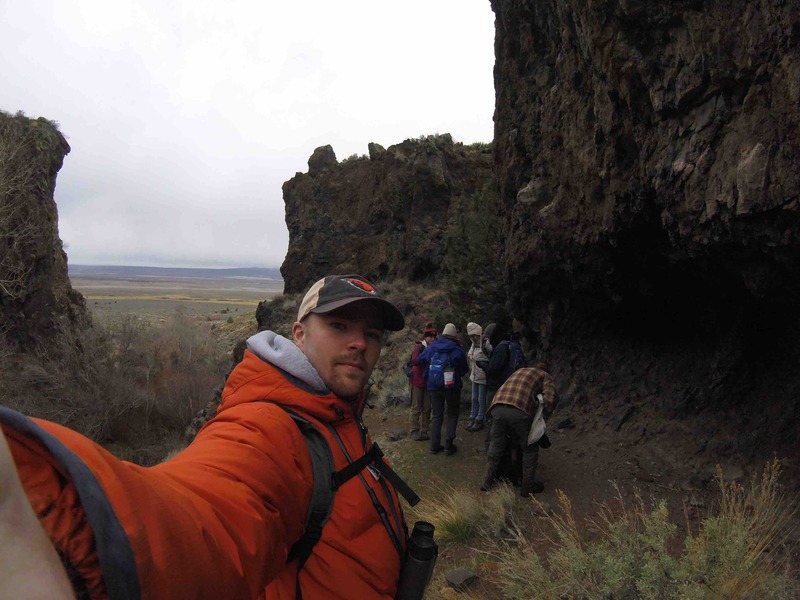 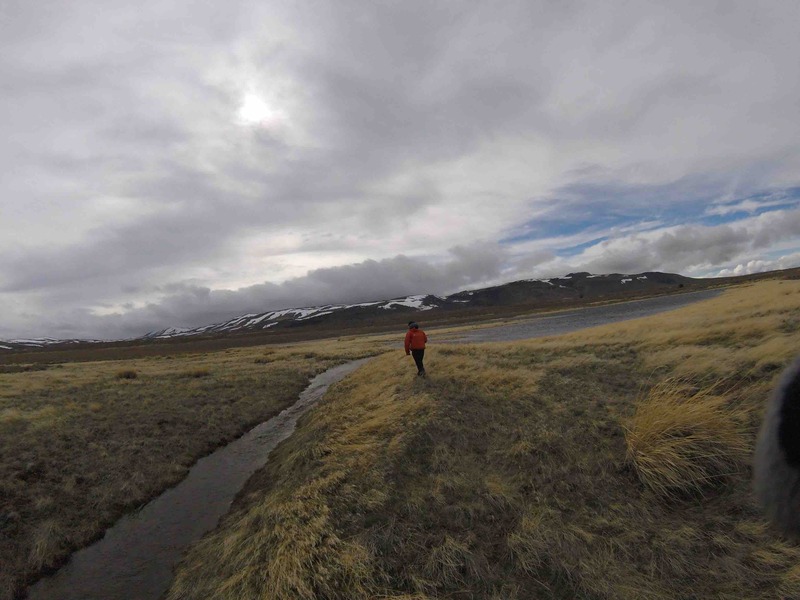 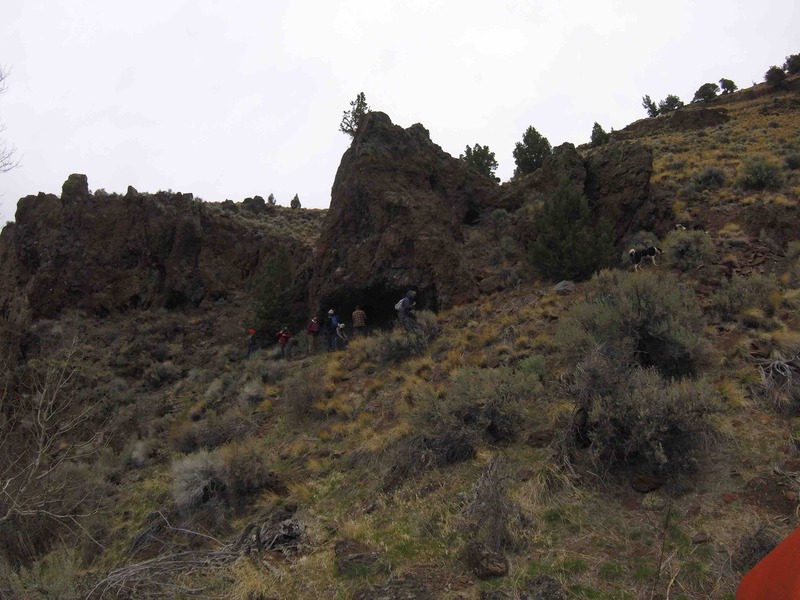 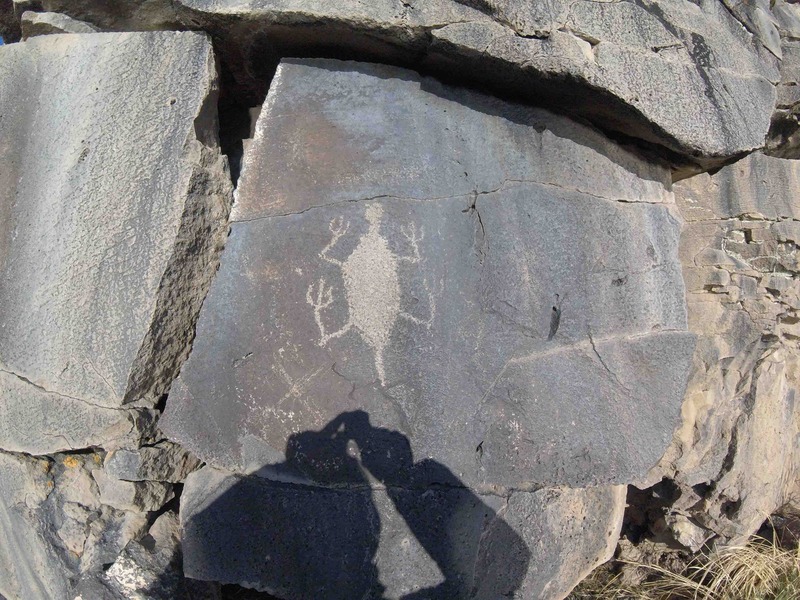 Following our stay at the refuge, our group left to go exploring the east side of Steens Mountain. 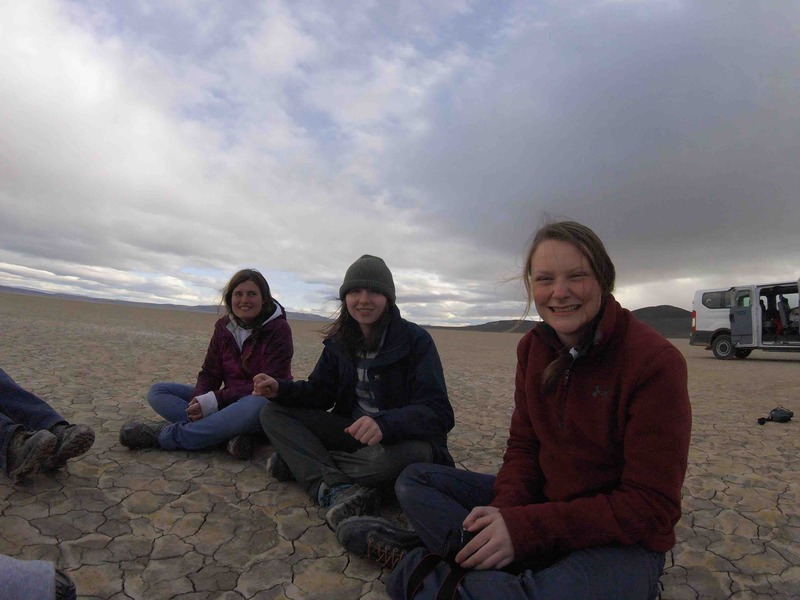 We got to view the Trout Creek and Pueblo Mountains, stopped for world famous milkshakes at Fields Station followed by a close encounter with a pair of great horned owls, discovered the endangered borax chub at Borax Lake, and walked across the seemingly endless expanse of the Alvord Desert. 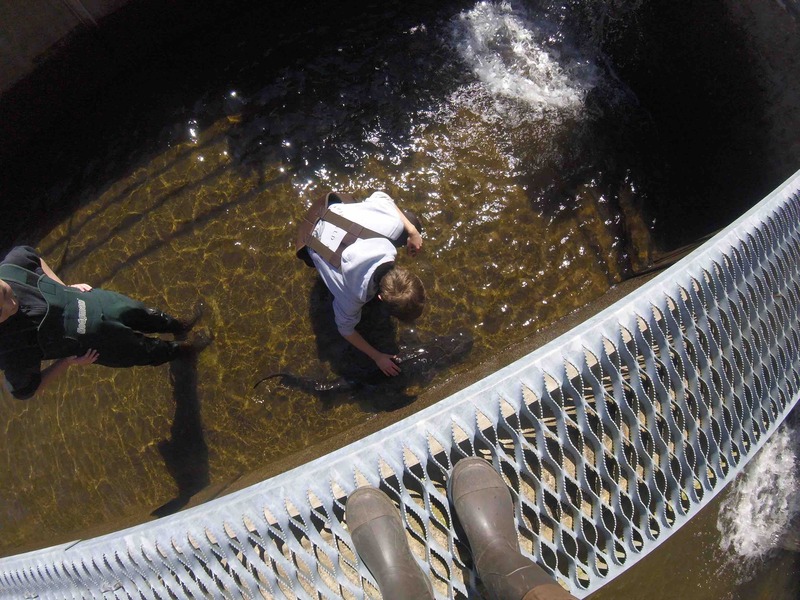 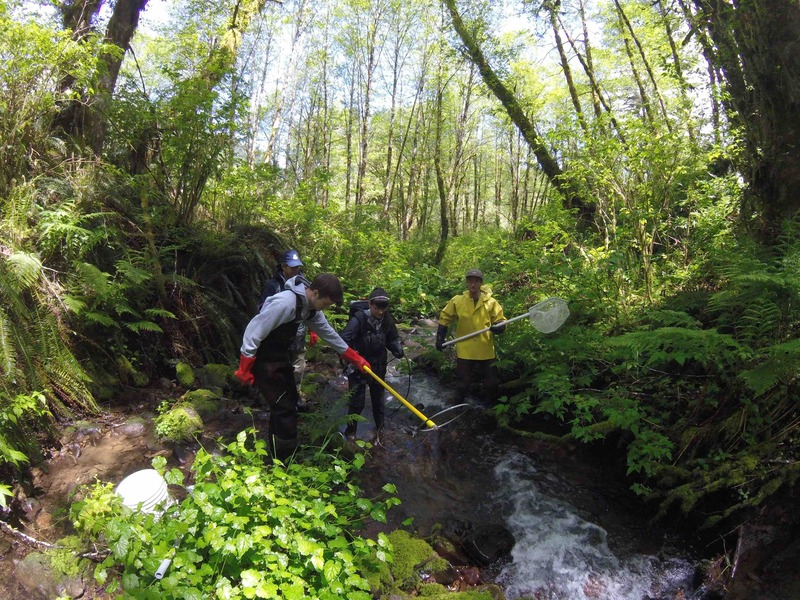 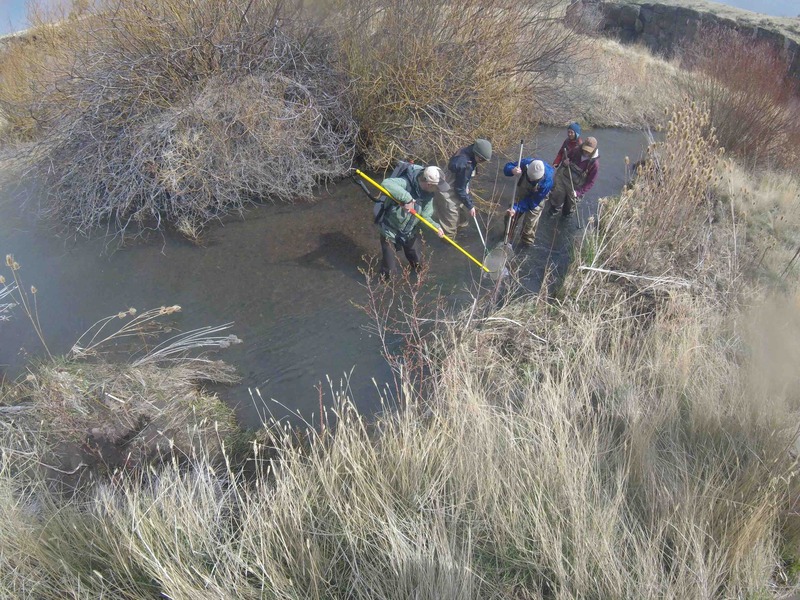 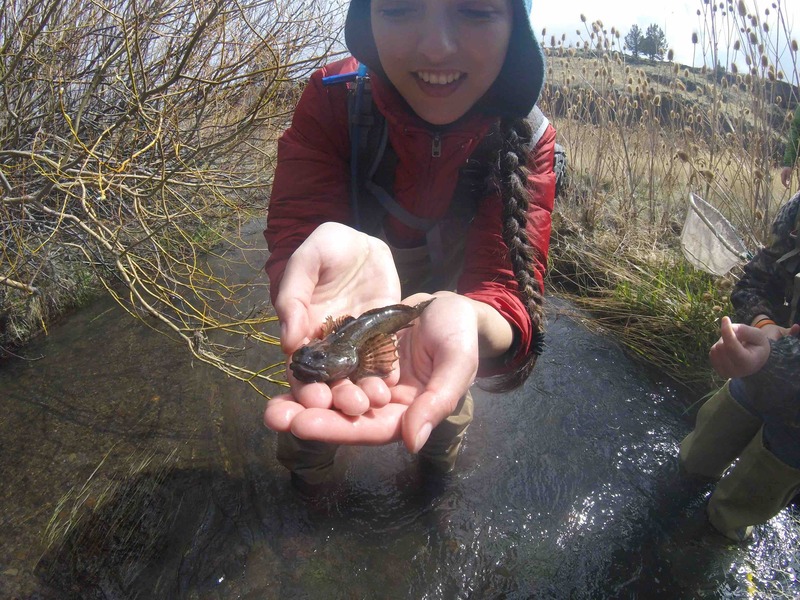 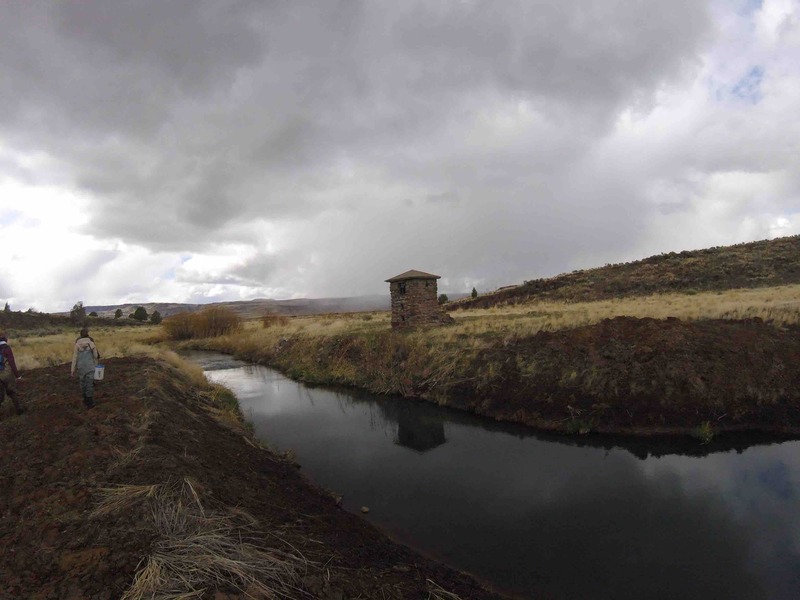 Later, our group arrived at Malheur National Wildlife Refuge and assisted an ODFW biologist with sampling redband trout abundance in Bridge Creek using a backpack electrofisher. 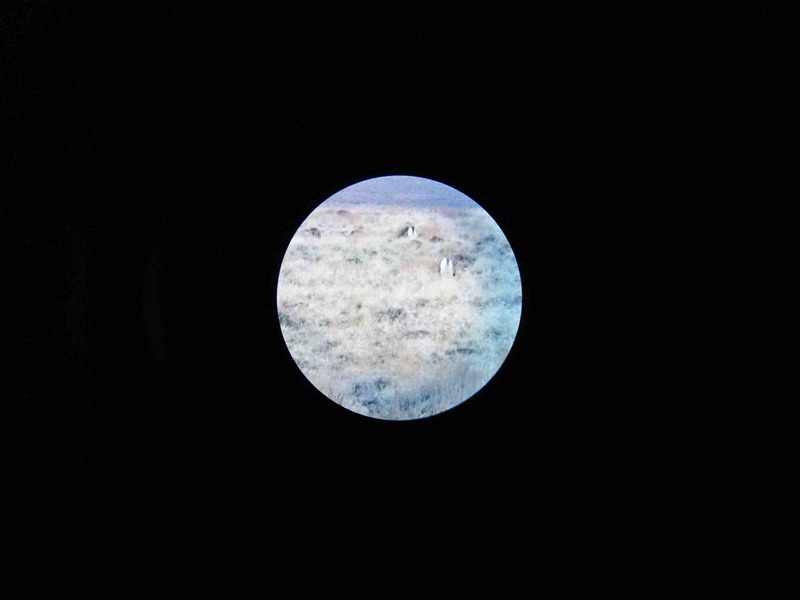 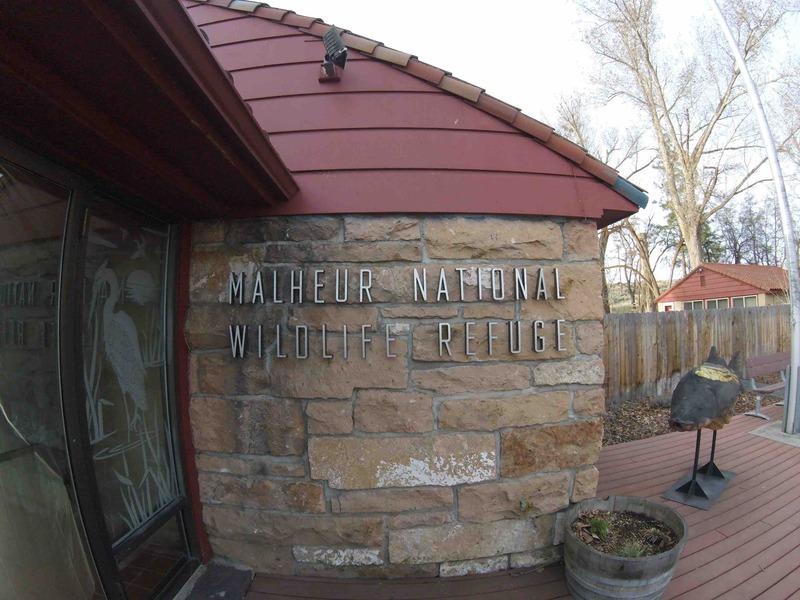 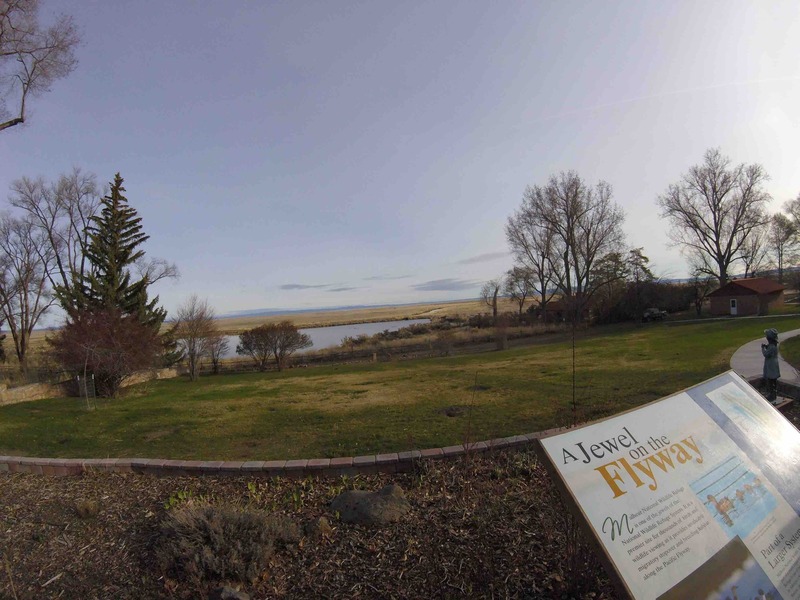 We finally visited the headquarters for Malheur NWR, identified sandhill cranes and many species of waterfowl, and observed tens of thousands of Ross’s geese migrating north to their summer breeding grounds before we embarked on our long journey home.